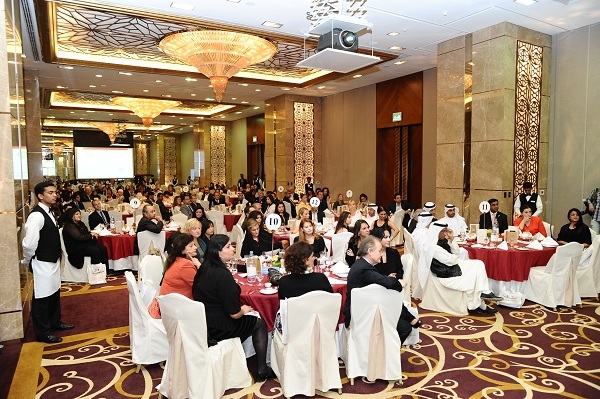 Last week we had a privilege to have 2 speakers, two powerful women, our Honorary Member of Rotary Club Jumeirah, Chairman of Emirates Environmental Group and President of Arabia CSR awards Ms. Habiba Al Marashi, as well as Founder and CEO of Jad’s inclusion, Centre for Education for children with autism, Rana Akkad Atassi who shared with us her story about the creation of idea and founding the educational center that helps a lot of families! In 2010 Rana Akkad Atassi had a full life and career shift to become a Social Entrepreneur with a mission to change her community for a cause close to her heart. 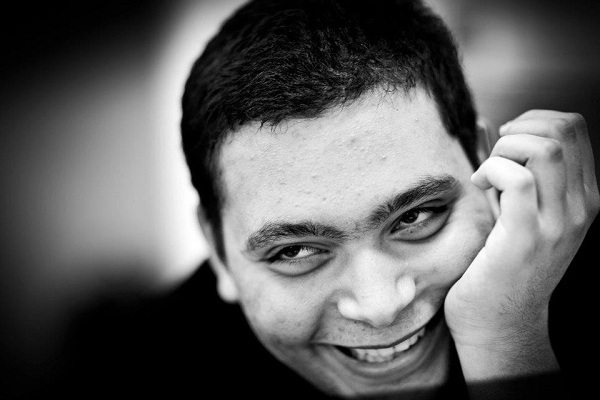 With her middle son Jad being diagnosed with autism at the age of 2, Rana single-handedly took upon herself the mission to create a platform for special needs inclusion. 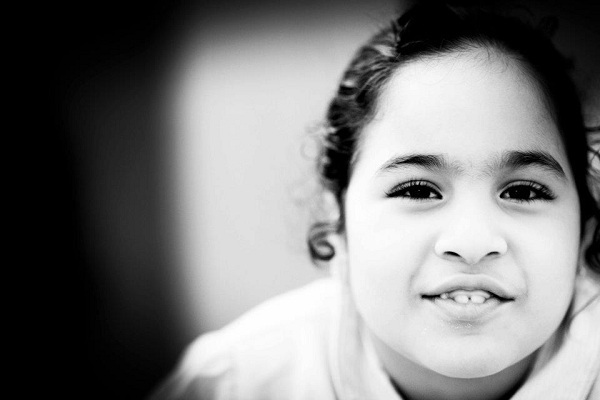 Rana started by founding Autism in Dubai, which is a support portal and guide for parents with children of the spectrum. 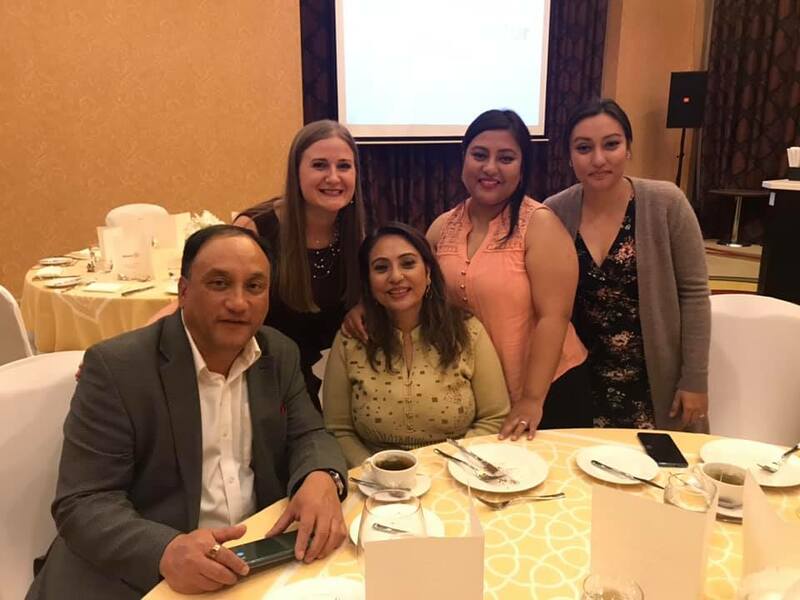 She took the effort a step further and planned several fundraisers to sponsor the therapy of children with autism for those struggling families, and became a real champion for the cause in the region. Later on, when her son Jad got rejected from 22 mainstream schools, she simply decided that she would take on the challenge herself of opening a first of its kind in region, top-notch non-profit school, whose mission would be to embrace children like her own that are not accepted in mainstream schools, yet there impermanent is not severe enough to go to a special need center. 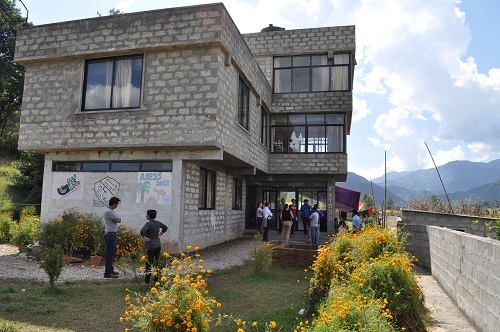 Several years of determination and struggle gave birth to the opening of Modern Alternative Education (MAE), a not-for-profit fully operational academic and vocational center that bridges the gap between mainstream schools and special needs centers. 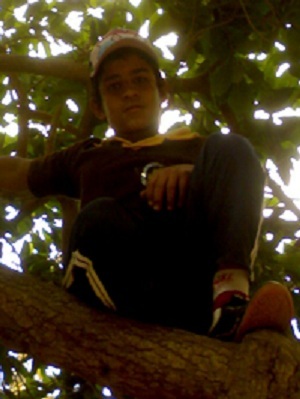 On August 2rd, 2018 and at the tender age of 11, the reason behind all the above, Jad, unexpectedly passed away in his sleep. As devastating as it was for the family, Rana’s motivation to continue her journey amplified considerably as she now saw it as a calling and is making it her life’s mission to keep her son Jad’s legacy alive. On January 31st, 2019 on what was supposed to be Jad's 12th birthday, Modern Alternative Education’s name changed to Jad’s Inclusion. 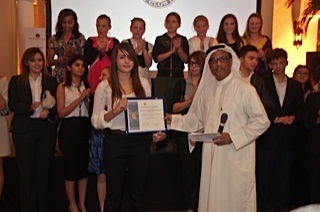 A multiple award winner of which the 2018 Female Entrepreneur of the year award at The Women in Lead Economic Forum, a diplomat’s daughter, a citizen of the world who is fluent in Arabic, English, and Spanish, Rana is able to bring her global perspective to everything she does and hopes to grow her dream to the world. 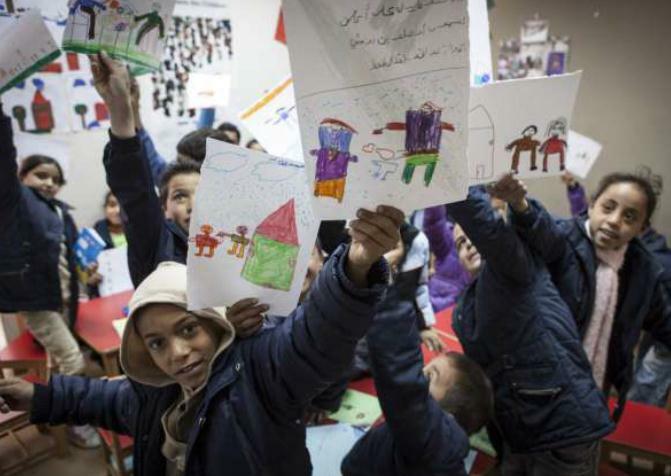 Rana will not stop until everyone in the community welcomes all determined children, and give them the chance to have the safe, secure, and independent future they deserve. 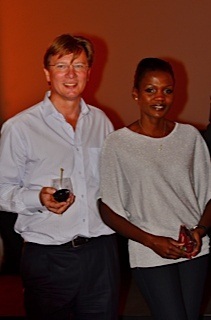 The highlight of the night was Birthday celebration of our VP Urs Stirnimann! Happy birthday Urs and many returns of the day! 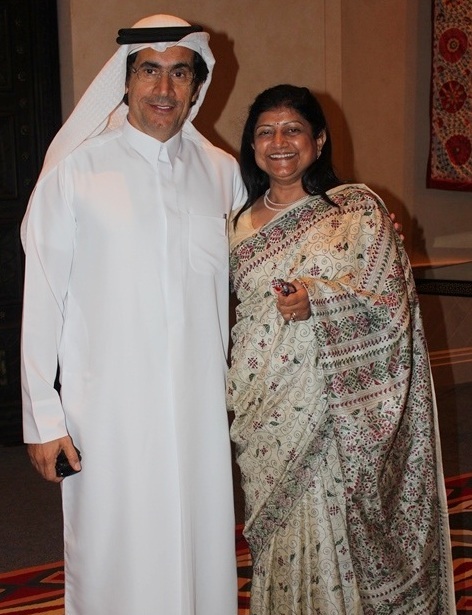 Looking forward to welcoming you at our next Wednesday meeting where we will host a VIP guest, Consul of India to Dubai Vipul! 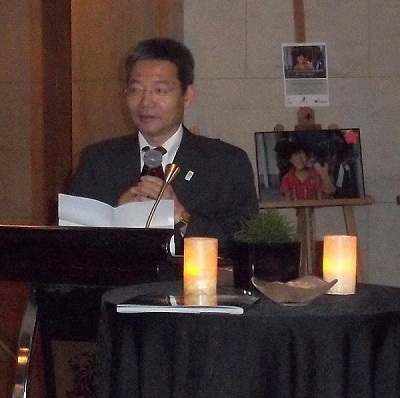 On the 27th of March we had an honor to host H. E. Consul General of Japan to The UAE, who gave a presentation about mindfulness of Japanese mentality, shared some history and how such mentality was formed. As well we had a great exposure to day to day life of Japanese people, how the concept of mindfulness has an impact on everything in their life: the school, food, government, culture. 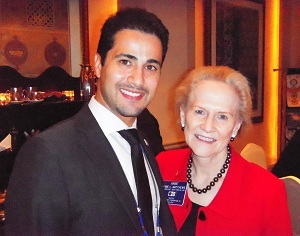 Natali Soroka, Secretary of Rotary Clubs Association in the UAE with Consul General. 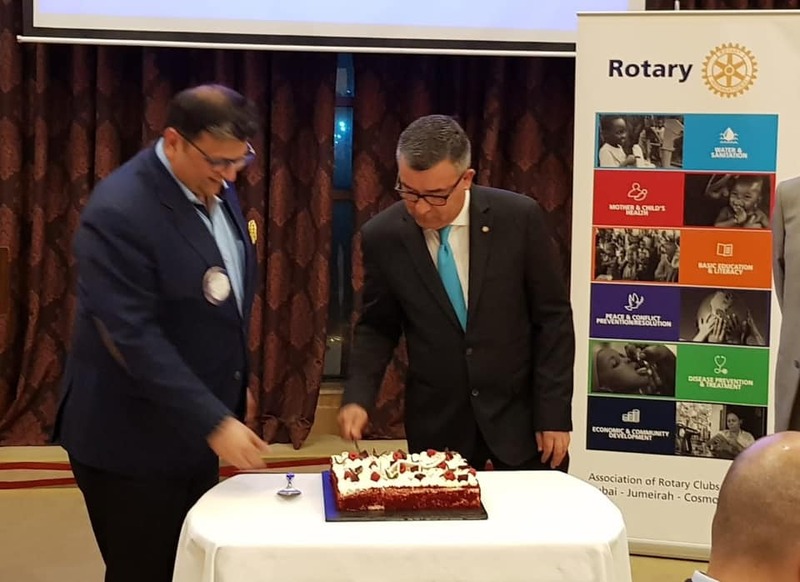 Our weekly meetings it is not only presentations, but it is also a lot of fun and nice occasions as we are one family.Celebrating birthdays of Rotarians Kapil Dasani and Mazen Khourdaji. As well we were so happy to host our old friend from Nepal, Bibhu Thakur, who joined the meeting with his family, he is the one taking car of Eco Farm and Orphanage in Nepal, respected Rotarian and great man! 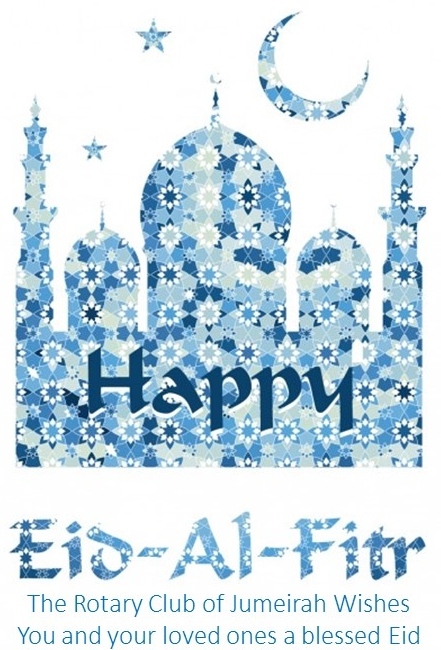 A World of Good Wishes. One of the real joys this holiday season is the opportunity to say thank you and wish you the very best for the new year. 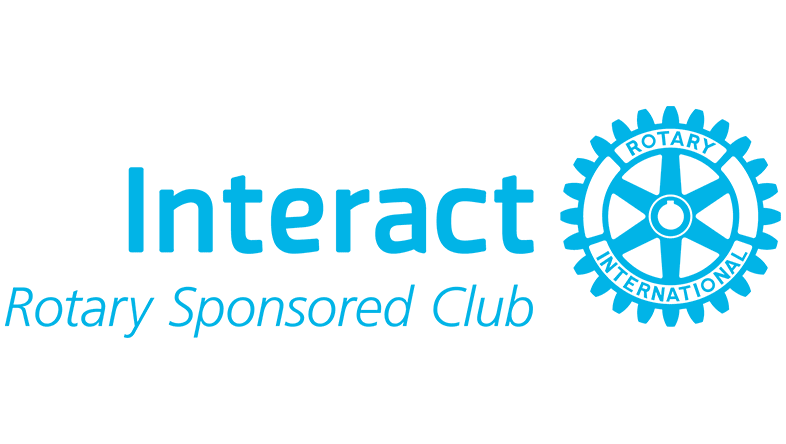 Excited to welcome Interact Jumeirah to our weekly meeting this Wednesday the 25th of January 2017. Our Weekly Dinners will resume this Wednesday at Magnolia Room, in Al Qasr Hotel . Our Guest Speaker schedule will continue from the 11th of January onwards. This week will just be a casual dinner and a chance for members to get to know each other a bit more. Please take note that the weekly meetings will resume on 4th of January 2017. On Wednesday the 14th of December we will be having a Closed Meeting/General Assembly. Please refer to Article 3 of our Bylaws below. "At a regular meeting one month prior to the meeting for election of officers, the presiding officer shall ask for nominations by members of the club for president, vice-president, secretary, treasurer, and 5 directors. The nominations may be presented by a nominating committee or by members from the floor, by either or by both as a club may determine. If it is determined to use a nominating committee, such committee shall be appointed as the club may determine. The nominations duly made shall be placed on a ballot in alphabetical order under each office and shall be voted for at the annual meeting. The candidates for president, vice-president, secretary, and treasurer receiving a majority of the votes shall be declared elected to their respective offices. The 5 candidates for director receiving a majority of the votes shall be declared elected as directors. " Please take note that NO guests or Visiting Rotarians will be permitted to this meeting as it is considered a General Assembly meeting. 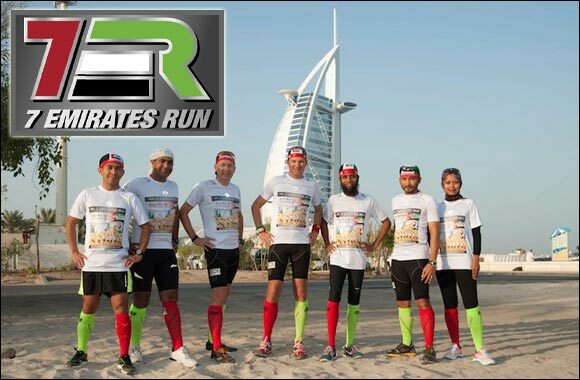 7EmiratesRun in partnership with Al Jalila Foundation is a non-profit community sport event with the mission "Run for Help, Run for Health, Run for Fun"
Come and find out more about 7EmiratesRun at this week's Rotary Meeting and meet Wendelin Lauxen an Al Jalila Foundation Ambassador. 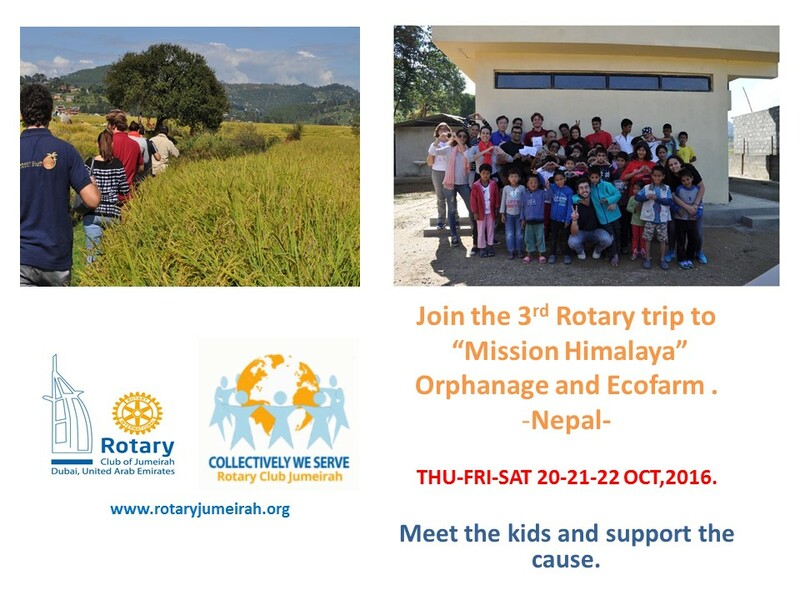 Join the Rotary Club of Jumeirah in the 3rd annual trip to Nepal! our club will not meet next Wednesday, September 14th. where we'll learn more about "The world's largest festival'. 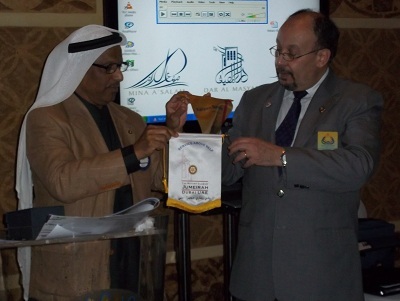 President Ram Buxani, inspired by the achievements of the Rotary Club of Jumeirah initiated the creation of a new theme for 2016 / 2017, together with the help of the board members and the creativity of Rotarian Anne-Susann Becker who designed the logo. 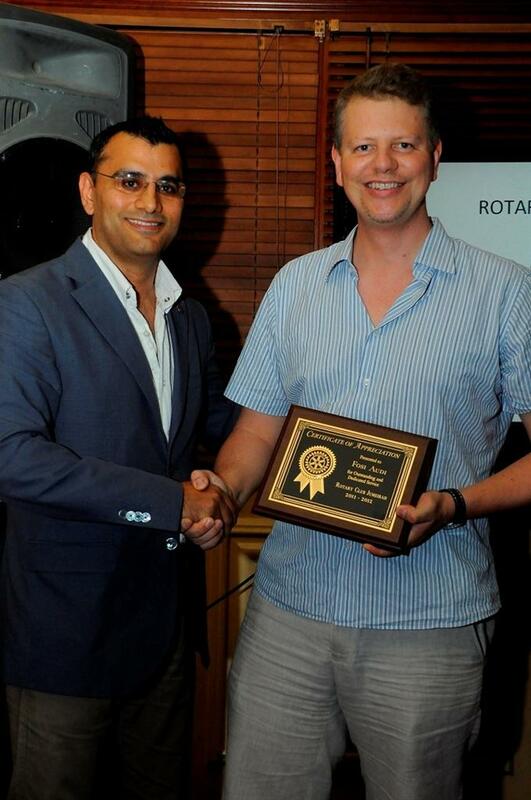 Rotarian Ilgaz Demirel and Dr. Bharat Butaney into our club. 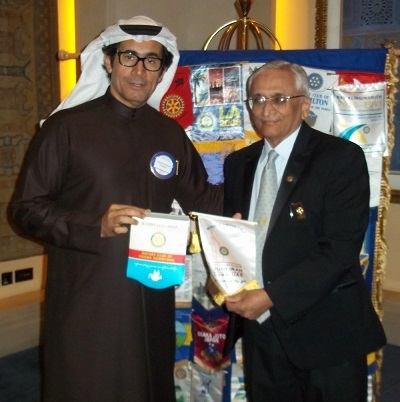 whilst Dr. Bharat is a brand new addition into Rotary, sponsored by President Ram Buxani. Please join us in welcoming them to the Rotary Family. We're preparing a very exciting meeting for you this Wednesday, August 31st. club board structure and members. and initiate projects for the club board to review. 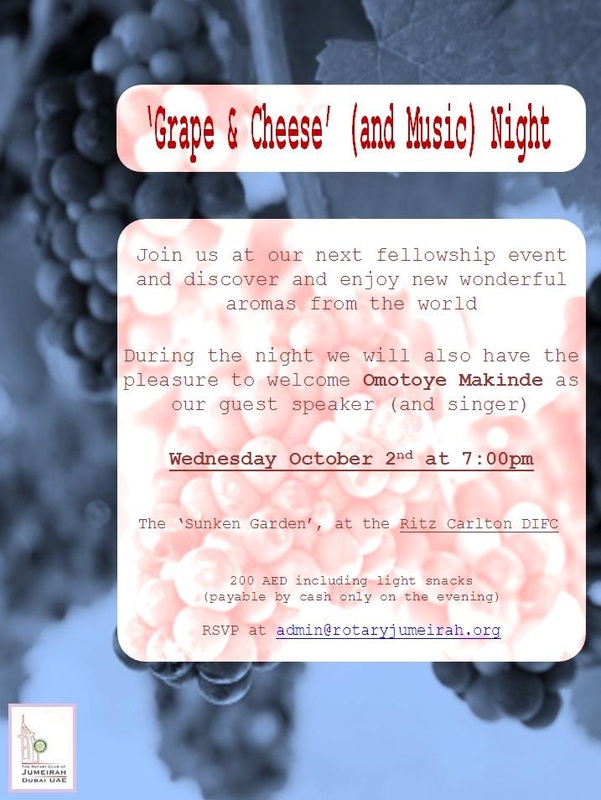 We look forward to welcoming you to our next weekly dinner. 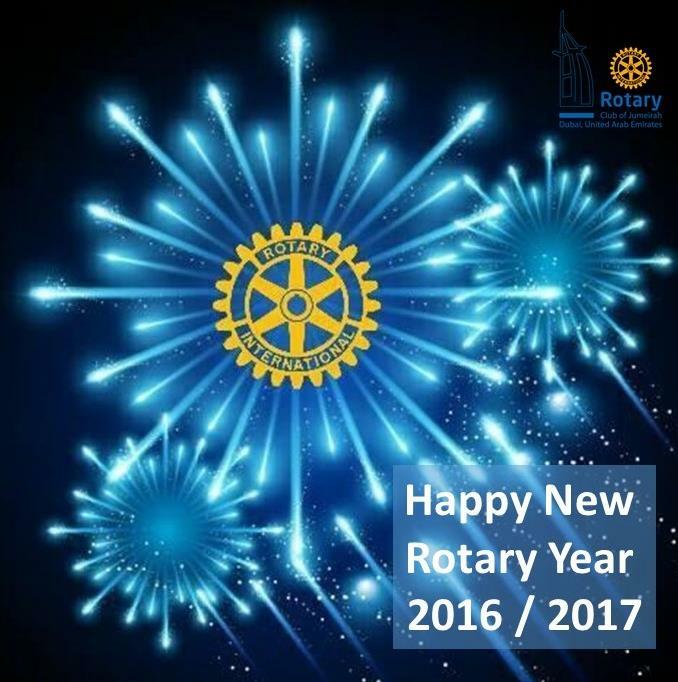 We look forward to welcoming you to our third meeting of the 2016 / 2017 Rotary Year. We look forward to welcoming you to our second meeting of the 2016 / 2017 Rotary Year. 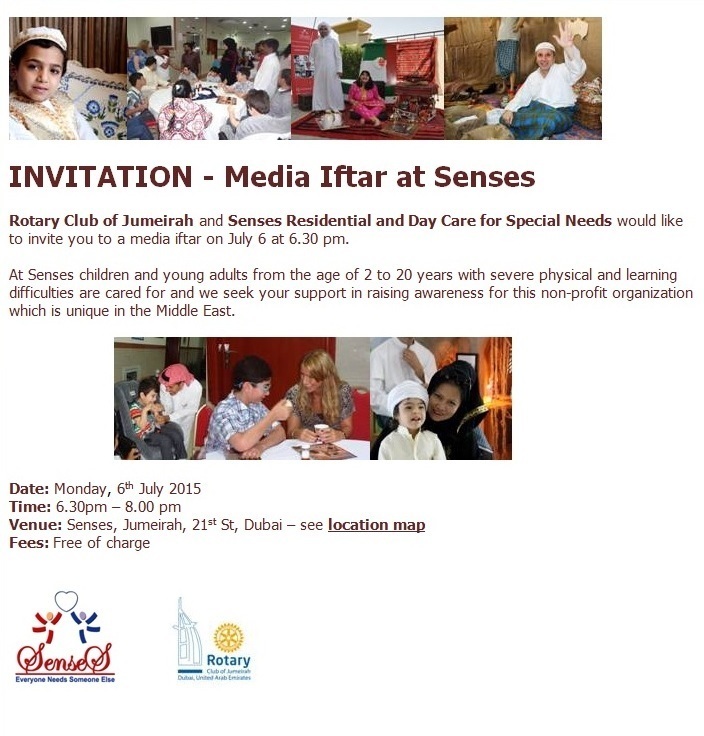 60 Rotarians, Rotaractors, members of media and friends joined us for an iftar evening at Senses. 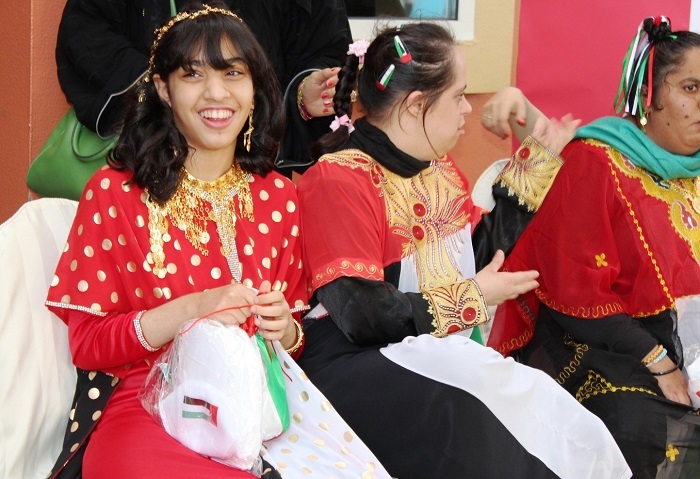 Senses Residential and Day Care Centre, a completely non profit organisation, is the first and only residential care facility for special needs in the UAE and the Middle East. 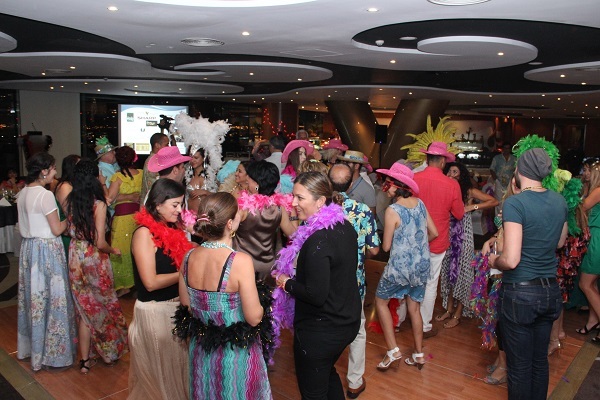 The evening was orgnized to help raise awareness about Senses and to highlight the importance of the community's support. 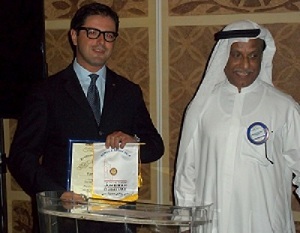 The Iftar dinner was sponsored by the Rotary Club of Jumeirah and the kind donation from NKD pizza. 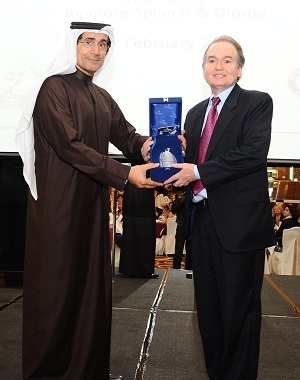 Additionally the club donated AED 50,000 to Senses to support them in their efforts. Our club will not be meeting. 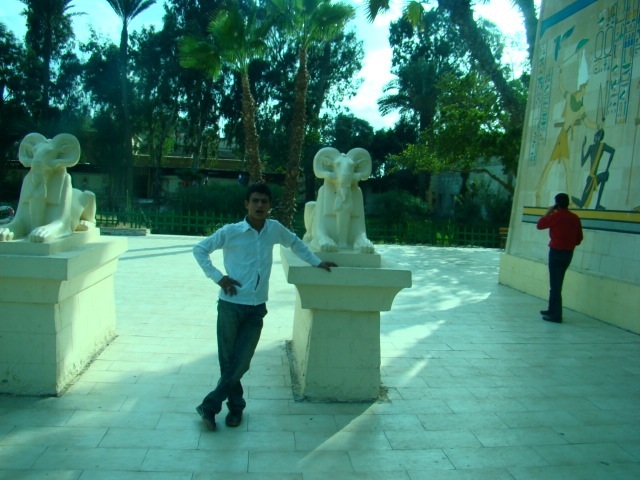 before adjourning for the holy month of Ramadan. from a successful Real Estate professional to a novelist. 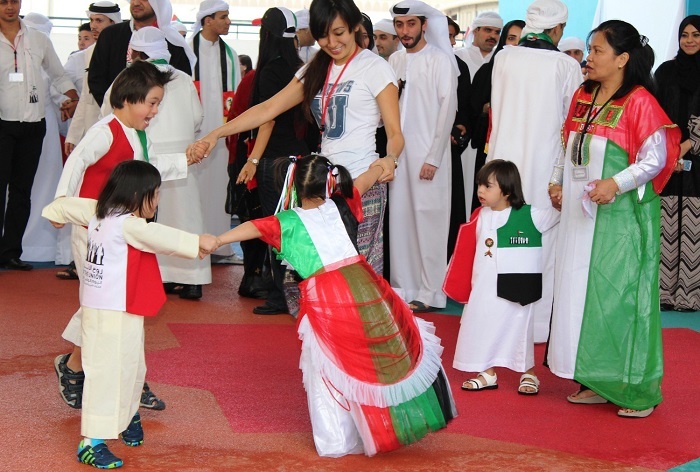 which is an initiative created to inspire the local youth of the UAE. Communications Specialist, Presenter, Campaigner, Advocate, Ambassador and Activist for the global eradication of polio. to be ready for our ROTARY QUIZ NIGHT. 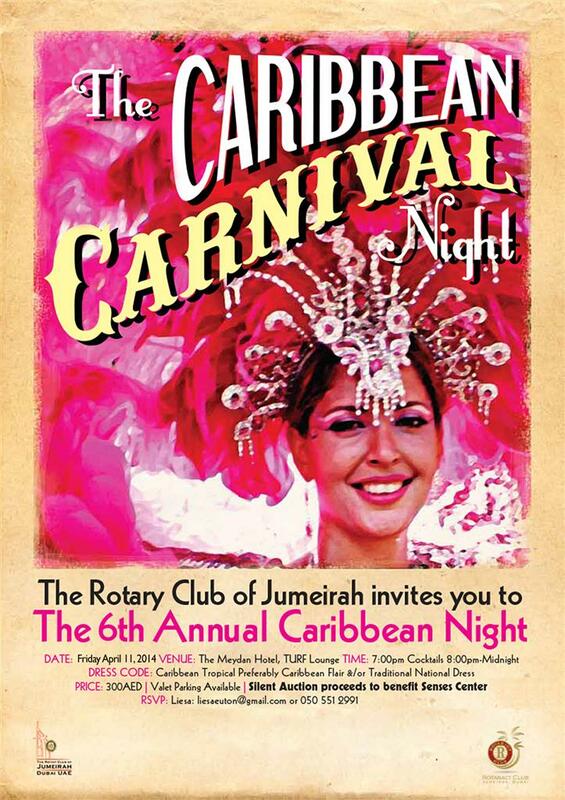 Join us for the fun and to learn more about Rotary. Magnolia Restaurant, in Al Qasr Hotel. 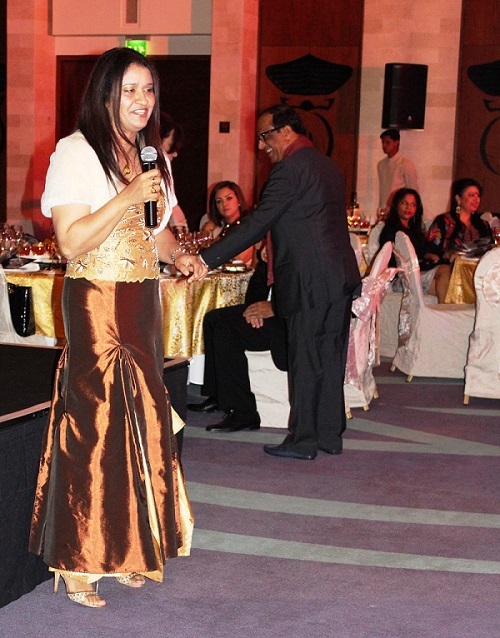 The dinner fee: AED 150 / 155. This week, we have a very special speaker and a super stylish topic! 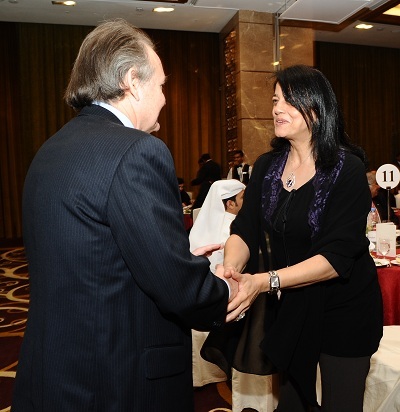 and about Jordan as a center for business development and medical & religious tourism. 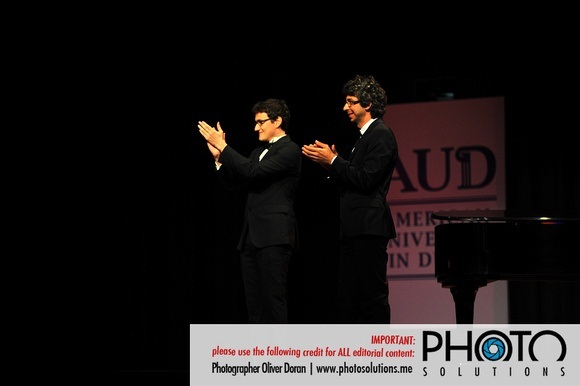 such as the Dubai International Film Festival, Florence Middle East Film Festival and Abu Dhabi Film Festival. 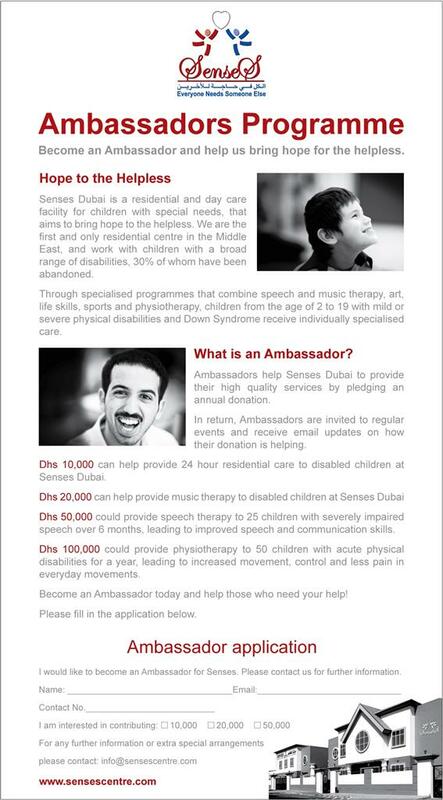 "We are organizing a visit to Senses School for Children with Special Needs on Friday, April 1st. Join us for a morning with the kids from 10:00 to 12:00, where we will be hand-painting! For further information and confirmation of your spot, please contact Rotaractor Rammy at 05 564 245 50." Therefore, we won't be able to host visiting Rotarians or guests. 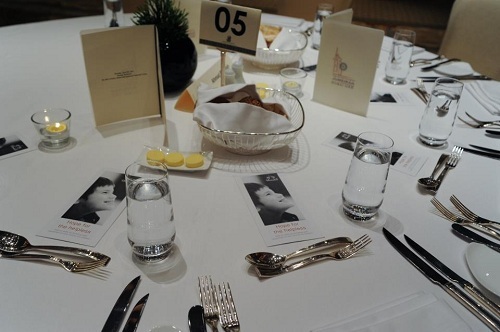 prior to the dinner from 7:30 to 8:00PM at MINA SALAM HOTEL. 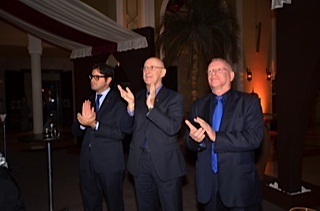 Wednesday, March 23rd at Magnolia Restaurant in Al Qasr Hotel. Please let us know if you'd like to attend. This note is a gentle reminder that we held the Concert for a Cause this week in lieu of tonight's dinner. Therefore, please note that we will not be meeting this evening. We will however meet for a fellowship gathering next week on Wednesday, March 16th in Layali Restaruant in Al Qast from 7:30 to 9:30pm. AED 150 or 155 / person. Please let us know if you would like to join us. This event in lieu of the weekly meeting. Therefore please note that we will not meet Wednesday, March 9th. 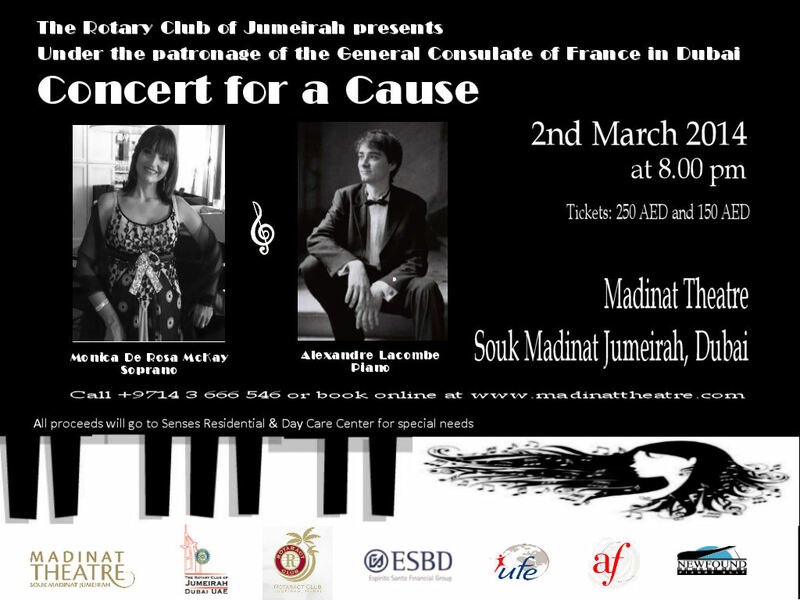 Wednesday, March 2nd at Magnolia Restaurant in Al Qasr Hotel. Dina Taji is a pioneer in the fitness, fashion, and lifestyle industries who has embarked on an ambitious goal to empower women of all ages and help them recognize their inner beauty, express their unique style, and embrace a lifestyle that is healthy and ultimately personally rewarding. 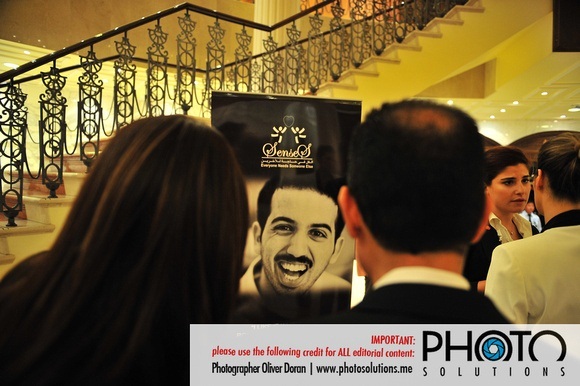 Wednesday, February 24th at Magnolia Restaurant in Al Qasr Hotel. Speaker and topic to be announced soon. will address the club on Culture and Management. 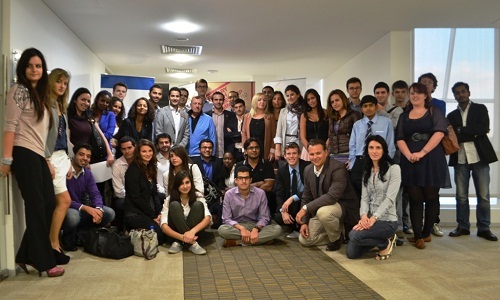 This week our INTERACT-ors will join us to present their latest projects and activities. are recommended at least three days in advance. 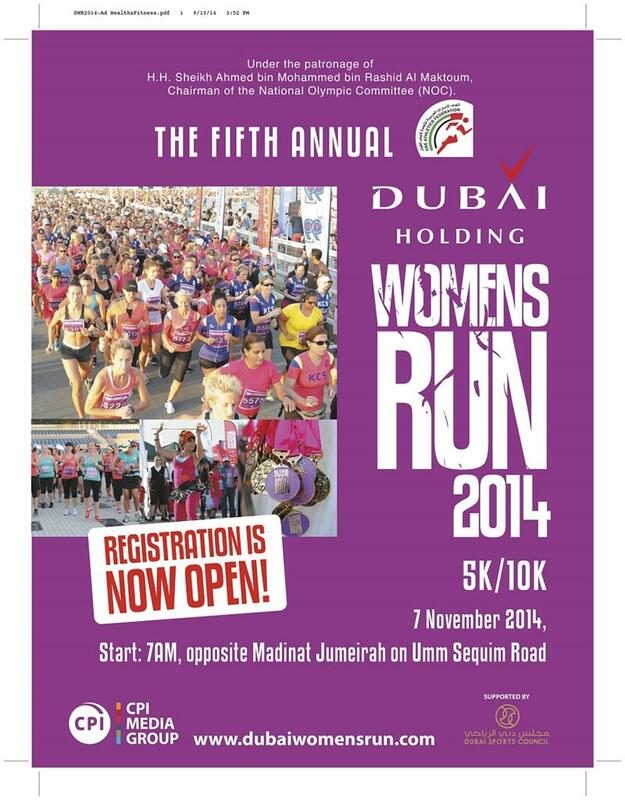 Kindly confirm by emailing admin@rotaryjumeirah.org. We will have limited spaces, therefore attendance confirmations are recommended at least three days in advance. We look forward to welcoming you to our first dinner in 2016 this Wednesday, January 6th. 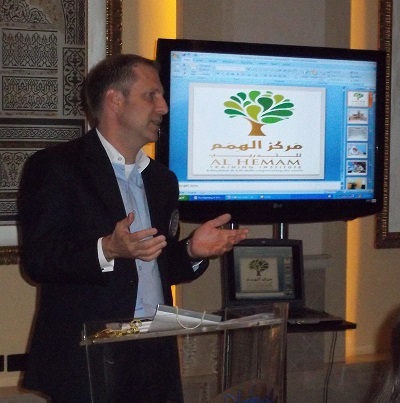 The dinner meeting will take place in Magnolia Restaurant in Al Qasr Hotel at 7:30pm. 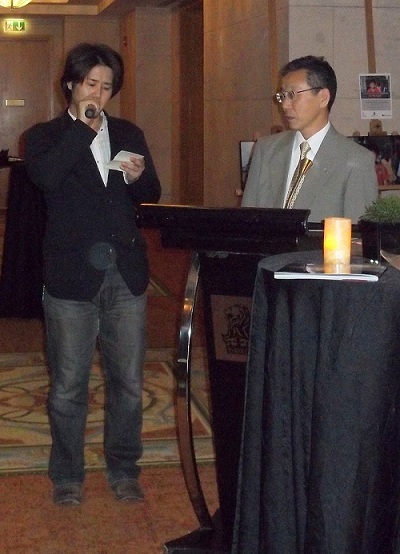 will also join the meeting to update us on their Flea Market Project in February. This is the perfect opportunity to get rid of any used objects, such as clothing, electronics, books, household items, home appliances, ceramics, toys, antiques, accessories and handcrafts. 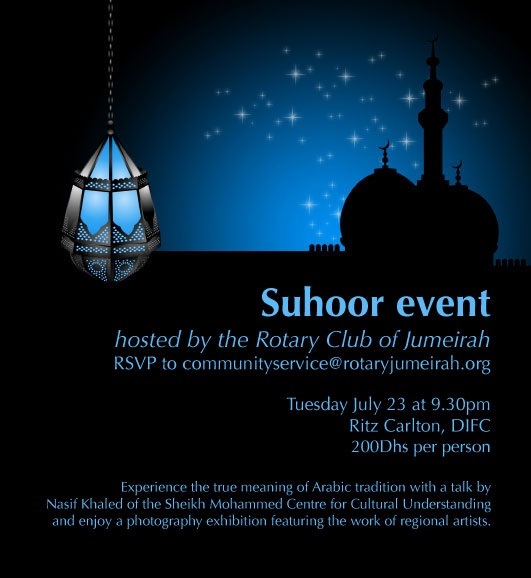 Please confirm your attendance by emailing: admin@rotaryjumeirah.org. who passed away on New Years Day in the loving arms of her family. 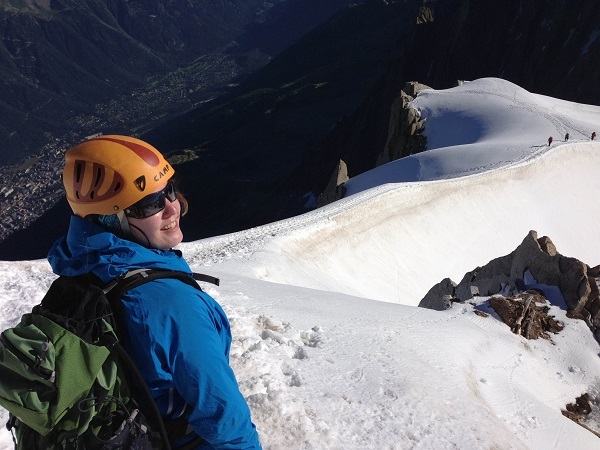 Jessie had so much courage and strength as she fought cancer for over six years. She loved life and knew each day was a blessing and a miracle. Jessie loved her two beautiful children Hannah and Payton. Jessie will be forever missed and loved by all that knew her. Kindly note the our club will NOT be meeting on December 23rd & 30th during the festive season. 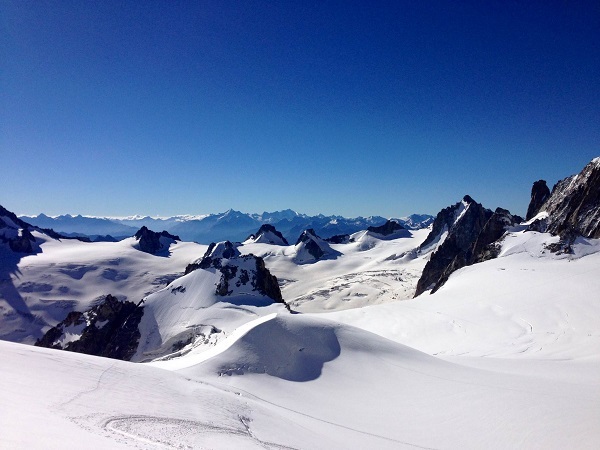 We look forward to welcoming you at our next meeting in 2016 on January 6th. Please register your interest in attending by email. In the meantime, we wish you delightful holidays and a very happy new year. 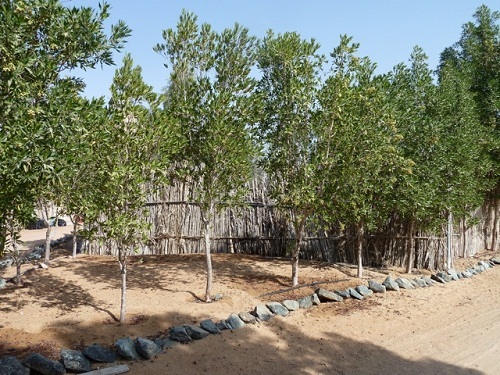 Rotary Club of Jumeirah in cooperation with Emirates Marine Environmental Group (EMEG) organized the first Environmental Day at the Jebel Ali Wildlife Sanctuary on the 14th of November 2015. More than fifty Rotarians, Rotaractors, Interactors, their families and friends from the Rotary Club of Jumeirah as well as other local clubs joined Major Ali and his team from EMEG for a day dedicated to beach clean-up, mangrove planting and educational briefings about the UAE marine environment. 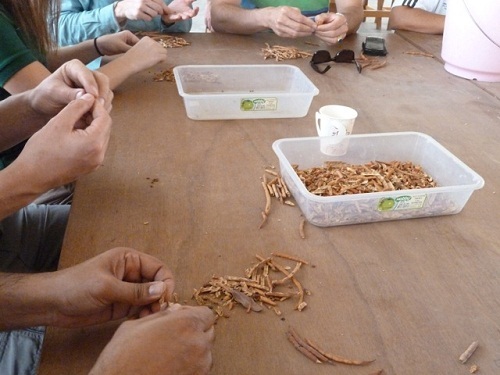 who will tell us about the organization's ECO TOURISM PROJECTS ahead of our Environmental project on Nov. 14th. 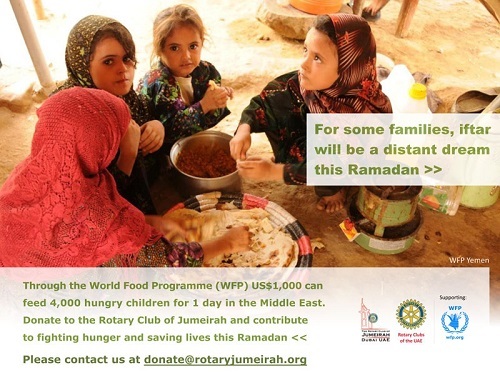 For more information, please email us on admin@rotaryjumeirah.org. We look forward to welcoming you to our dinner this Wednesday, December 9th. Please note that this week we will be meeting in MAJLIS AL MINA, MINA SALAM HOTEL at 7:30pm. 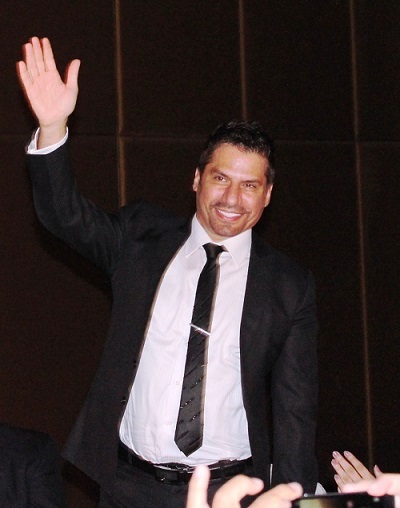 Our speaker for the evening is Dr. Patrik Reize who will address us on Osteoarthritis and the German-Arab Medical Cooperation. 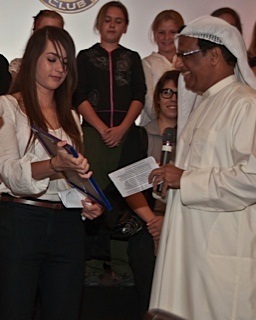 12,500 AED was donated to Senses!!! 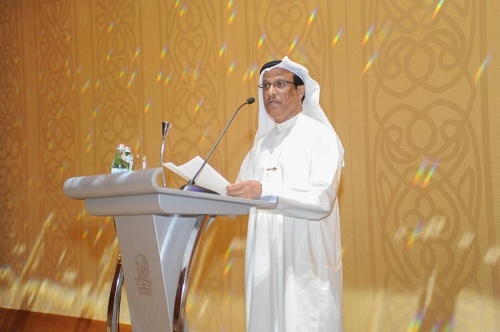 Rotarian Musa Al Sadoon, discussed the second habit of The Seven Habits of Highly Effective peopleTM which aims to edify the character on its path to personal change and empowerment. 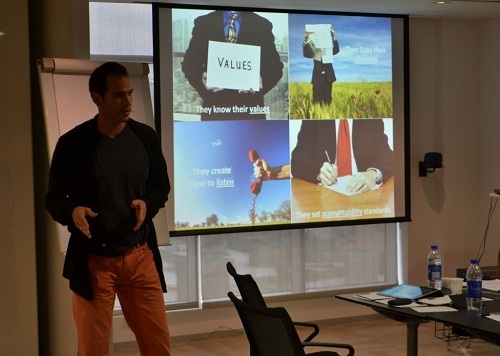 Musa al Sadoon led the participants through a moving journey of personal discovery highlighting the path and process of defining personal life goals aligning them to values and proceeding with set priorities to achieve sustainable successful life outcomes. 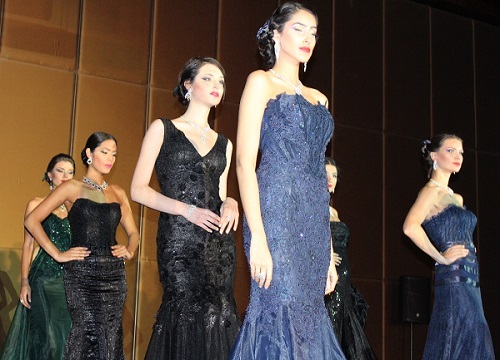 guests were treated to an exclusive dinner while Walid's latest collection of classic gowns and Saab's glittering jewelry was displayed. 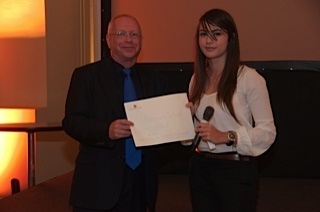 We thank all those who attended and gave generously to our good causes. Also thanks to our dedicated and hardworking Rotarians for organising such a special event. 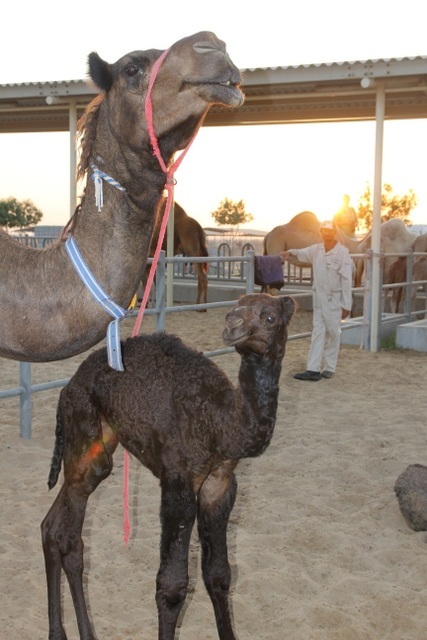 dancing, camels, falcons, flags, food and traditional fare. 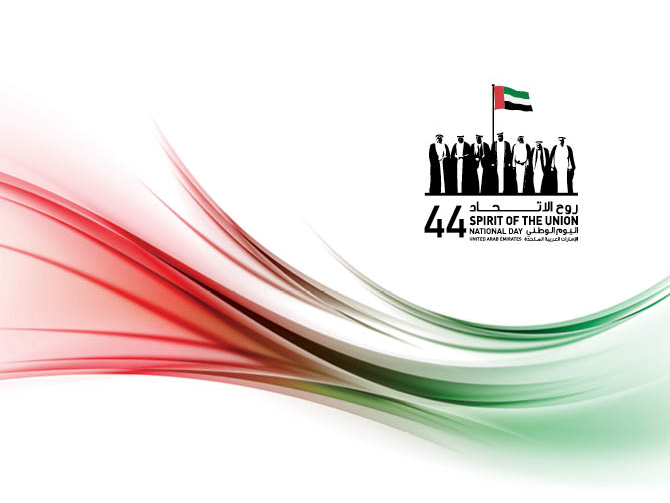 designed by ESMOD Dubai Students Yalda Dehghani & Marie Latuiletie. 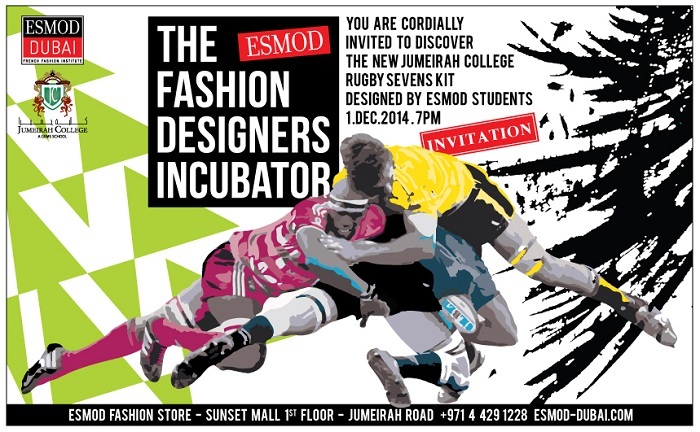 Come meet the Designers and JC Rugby Sevens Team for an evening of sport & fashion. 3 Weeks To Go!!! Register Today! 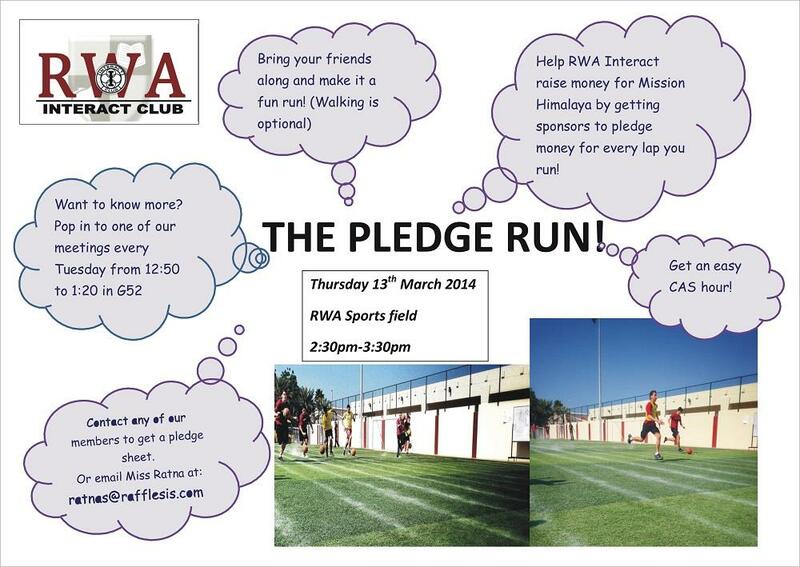 Come and join us Walk, Jog or Run 18 days to go!! 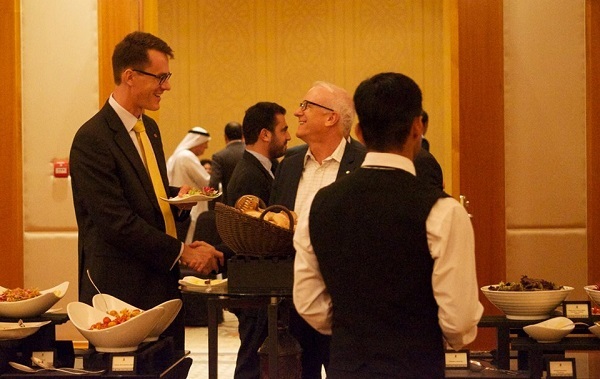 This week's RC Jumeirah meeting was an intimate one of Fellowship and welcomed 12 Members, 7 Visiting Rotarians and 1 Guest. Visiting Fellows were Dorothy Kabugo, Solomon Kabugo and Angela Semukutu of RC Muyenga, Uganda; Rakan Arnauot of RC Amman Citadel, Jordan; Rafik Nakhla of RC Heliopolis, Egypt, Hoda El Alfy of RC Cairo North, Egypt and Ali Ferling of RC Modling, Austria. 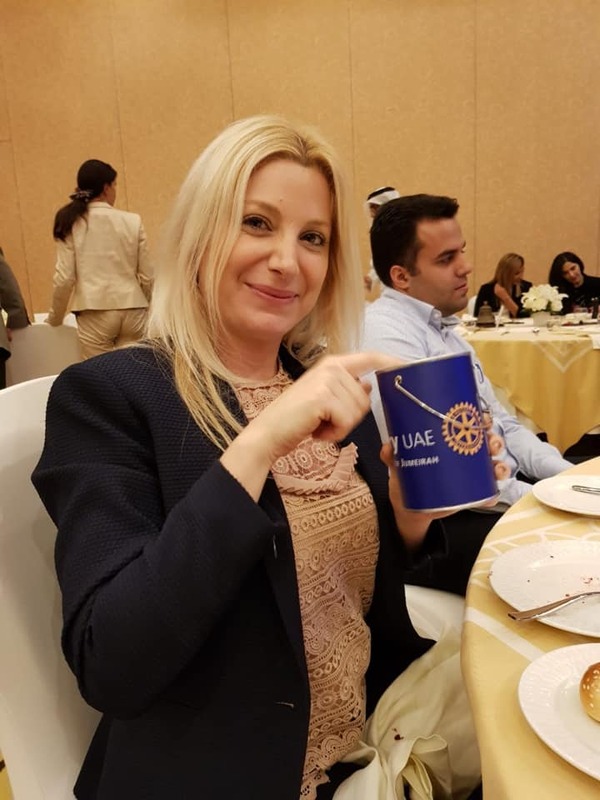 ​It was the Club's absolute pleasure to welcome Serene Haddad, daughter of RC Jumeirah Founding Member Rotarian Samir Haddad, as a new Member to the Club. 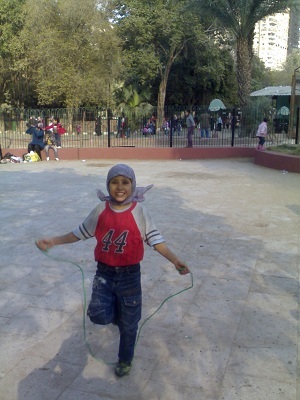 Serene has been heavily involved with Community Service Projects since the age of 13 by helping at a Girls Orphanage in Cairo implementing educational initiatives. 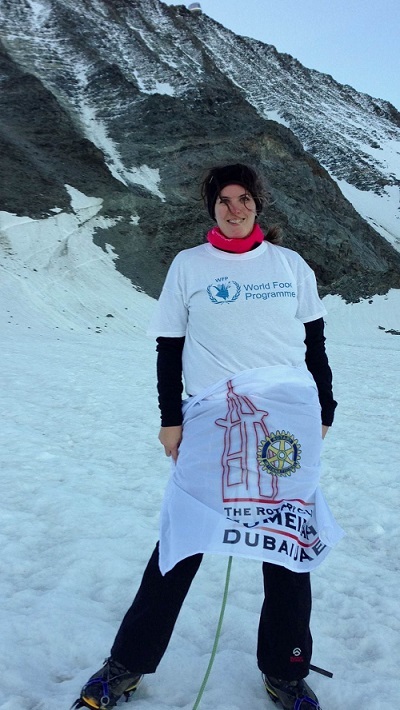 She continued in the US while studying at University and most recently has been involved with highlighting Breast Cancer and running continuous campaigns in the UAE. We welcome Serene to our Club with excitement and anticipation for her active involvement. SAVE THE DATES AND BOOK NOW!!!! Many thanks to all for a great evening and we look forward to working closely with Advisor Ratna Subramanian and all the dedicated and motivated young members. The amazingly generous Sponsors and all those who attended and contributed to such a fabulous evening. 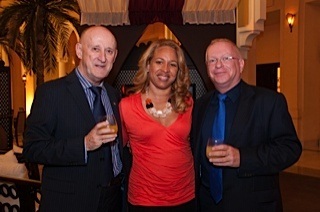 The Club was thrilled to welcome 180 VIP's and Guests. We apologise for any inconvenience caused and return to our scheduled meetings on Wednesday 29th January. A Very Happy New Year to all Fellows and Friends!! 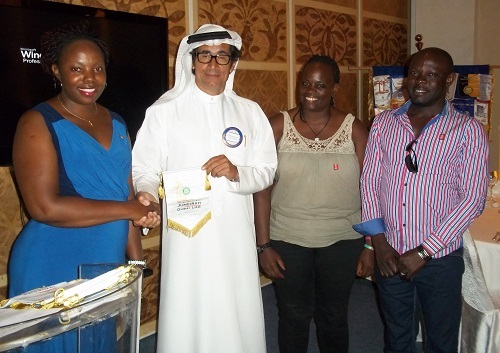 Our first Club Meeting of 2014 welcomed 20 Members, 10 Visiting Rotarians, 6 Guests and 1 Rotaract Member. Our Visiting Fellows were Jeanette Andreasson of RC Gothenburg-Lindholmen, Sweden; Anil Latey of RC Poona Downtown, India; N.G. 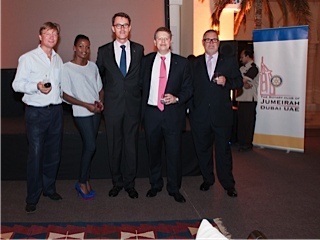 Gupta of RC Bangalore City Centre, India; Waqar Yousuf of RC Karachi Main, Pakistan; Willy Lunardi & Michael Formenius of RC Dubai; President Nabil Mitry, Nikita Chernovalov & Amanda Owusu Osei of RC Dubai Cosmopolitan and Hoda El Alfy of RC Cairo North, Egypt. 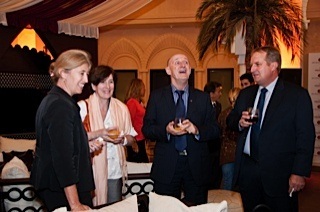 Rotary Club of Dubai Cosmopolitan Members Nikita and Amanda attended the meeting with Guests Jackie Swan and Keith Jordan. 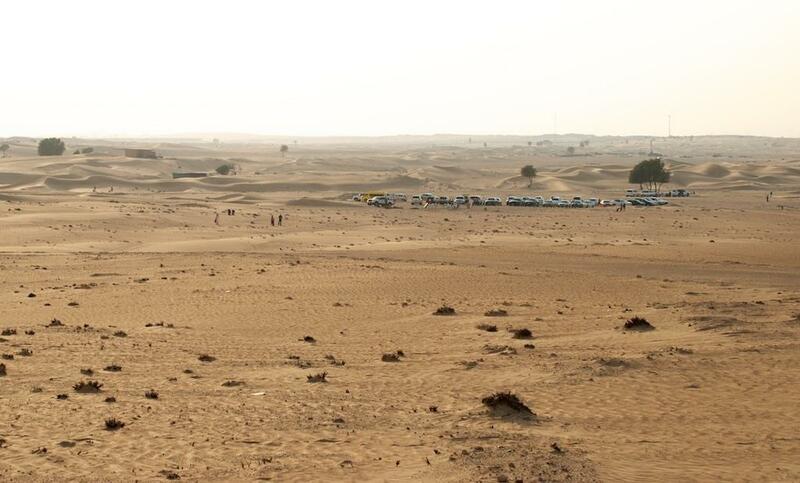 The Club is planning a Softball Tournament on Friday 7th February to raise funds for the Dubai Autism Centre. Futher details will be available shortly and sent to all members, friends, Rotaractors and Interactors. 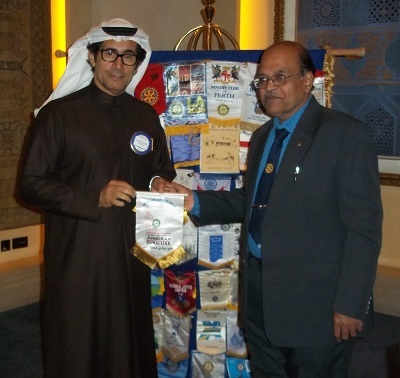 This week's Guest Speaker was Shadia Abdullah of Al Hemam Training Centre for Underprivileged Children in Ajman, a Rotary Club Jumeirah Community Service Project. 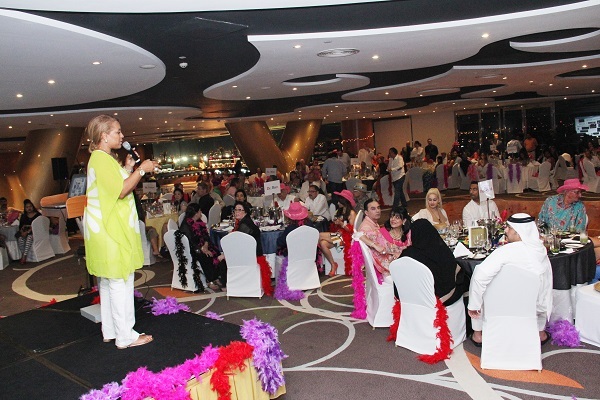 Shadia updated the members about the project, which currently helps over 100 Pakistani and Bangladeshi children with education, medical care and entertainment/trips as they have no formal status in the UAE and cannot attend school or afford medical and dental treatment. The Club is heavily involved with helping the organisation and provided many donated GEMS books in the Summer. 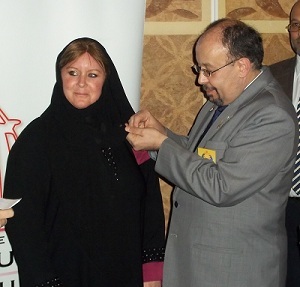 Shadia thanked the Club and its members for all their generous help so far. 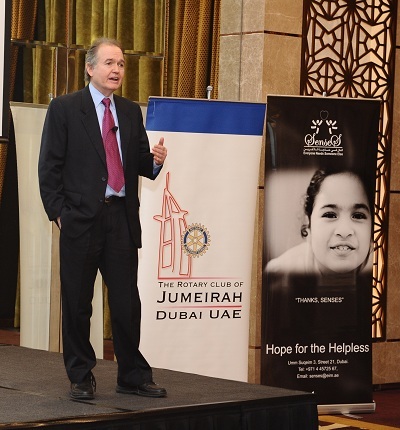 Rotarian Christoph Thomet, of Richemont Dubai (www.richemont.com) spoke briefly about his involvement with the Centre, which began when his company updated their computers. Christoph expressed to the Club that, although they were no longer needed, the laptops and PC's were perfectly good to use, and the Centre was suggested as a good cause to donate them to. The children received around 200 devices. 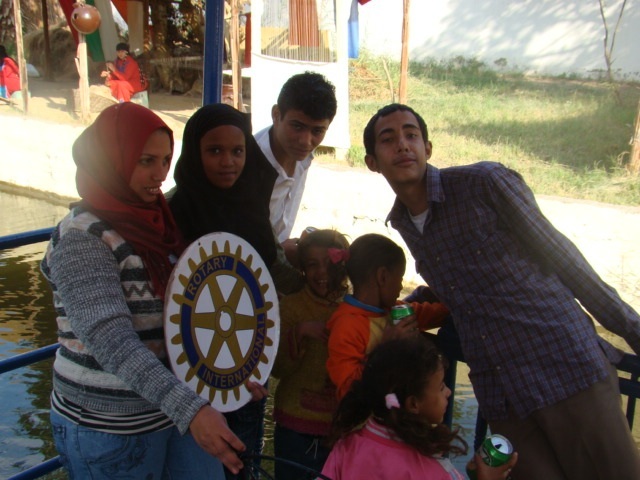 Christoph expressed his delight when meeting the children and seeing the importance of the work that Shadia and her staff do, and encouraged all Rotarians to get invloved with a project, because it really can make a difference. 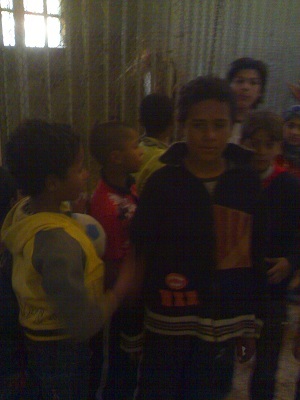 In addition to educational aids, the Club has helped by giving the children some much needed medical care. Dr Mitry's Manchester Clinic saw two young girls earlier in the year. 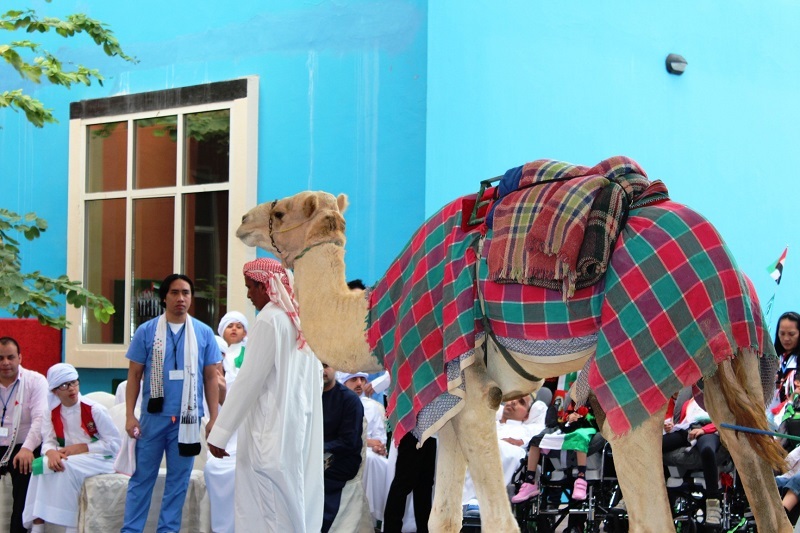 Now CEDARS – Jebel Ali International Hospital has volunteered to offer free medical services for the students of Al Hemam Training Centre. The hospital provides general check-ups within the pediatric clinic and ENT related tests like audiometry. Since December 2013 every week up to ten children and youngsters are receiving free medical treatments including snacks and refreshments. 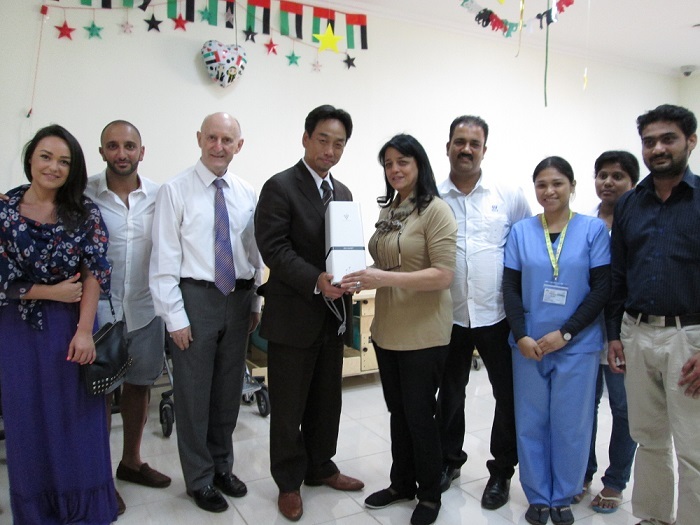 The Management of CEDARS – Jebel Ali International Hospital is happy to support the students of Al Hemam Training Center to make sure that, at least, their most basic human needs are satisfied. The Club's Directors and Community Service Committee would like to thank everyone for all their generous efforts to help these wonderful young children. Fun Charity Quiz Night - Wednesday 15th January 2014, 7.30pm (arrival from 7pm) - Rivington Bar & Grill, Souq Madinat. 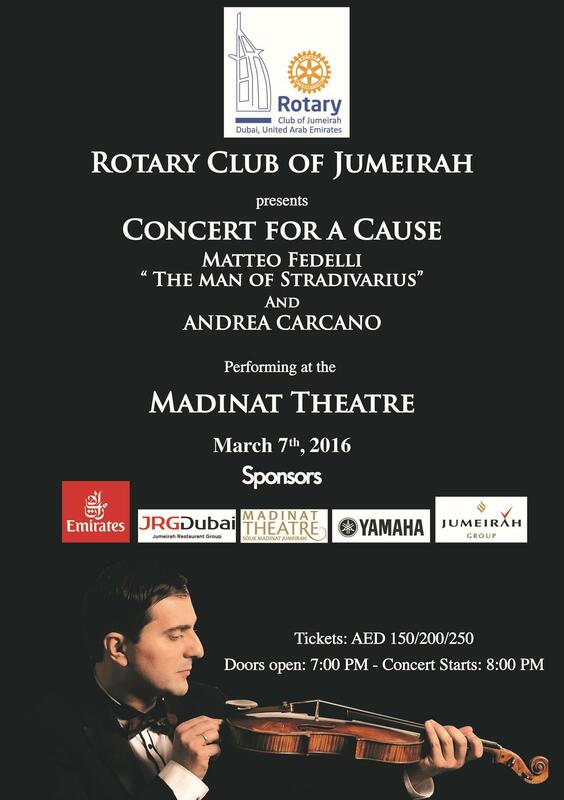 This will replace the regular Club Meeting and participation will cost 150 AED per person (100 AED for Rotaractors). Fun Quiz to include soft drinks and Bar snacks with prizes. Plus a Silent Auction in aid of Senses Residential & Day Care Centre. 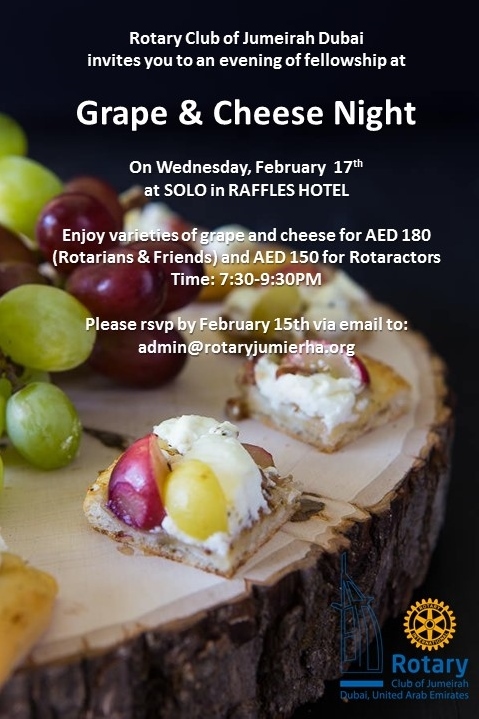 Please RSVP Julia at admin@rotaryjumeirah NOW!! 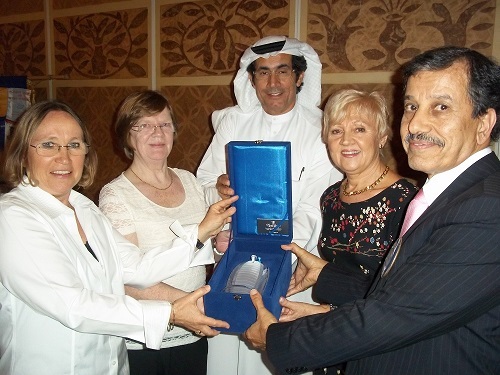 Rotary Foundation Seminar Gala Dinner - Thursday 23rd January, 8pm - Conrad Hotel, Sheikh Zayed Rd. Please note that the regular RC Jumeirah Meeting, scheduled for Wednesday 22nd January, will be cancelled due to this event. A Fun Quiz Night to include soft drinks and Bar snacks with Prizes!! 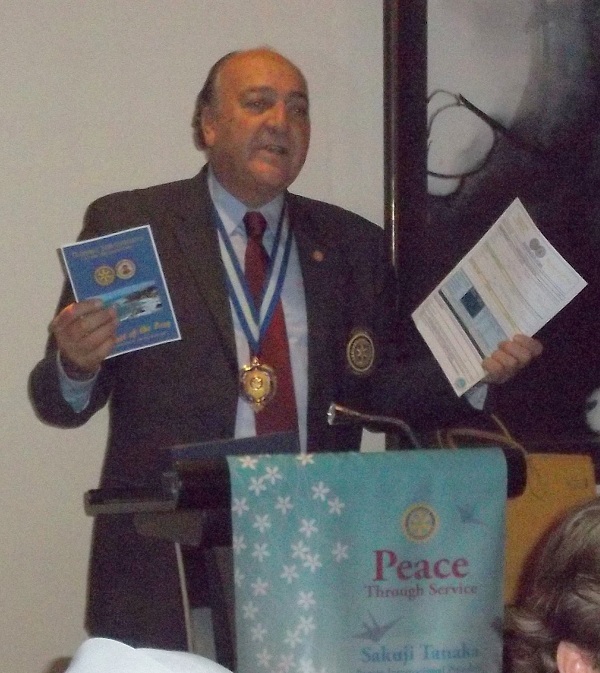 Rotary & General Knowledge Questions to suit everyone! 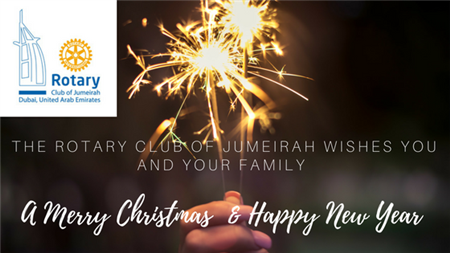 "On behalf of all the volunteers of the Old Library, we would like to say a huge thank you to the Rotary Club of Jumeirah for the lovely award you have presented us! Our library has been serving the community for over 40 years, and it is all thanks to the numerous volunteers; without them we would never have survived this long. We are all very proud of our small library, and this award and the recognition it represents (coming from the Rotary) is beyond our expectation. 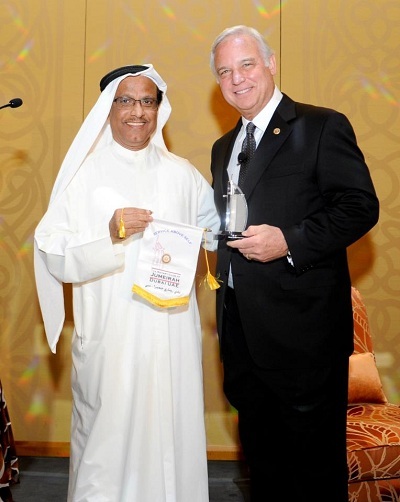 Again, to all of the Jumeirah Rotary members, thank you from all of us!" Rubbish collected weighed nearly 250 Kg! open to Members, Rotaractors, Interactors, Family, Friends & Colleagues! 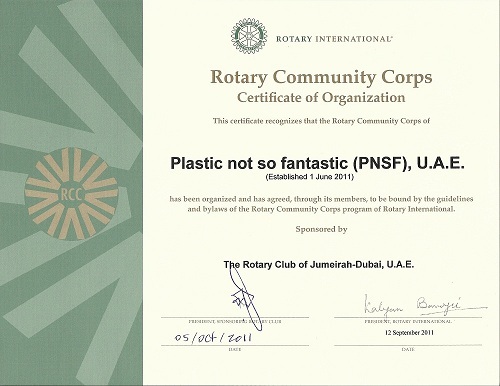 RC Jumeirah's Rotary Community Corps organisation 'Plastic Not So Fantastic', devised by Rotarian David Wernery with his wife Theresa, has already traveled throughout Europe highlighting the dangers of plastic pollution on our environment and continues to educate and motivate people to use less and keep our world a cleaner and safer place. 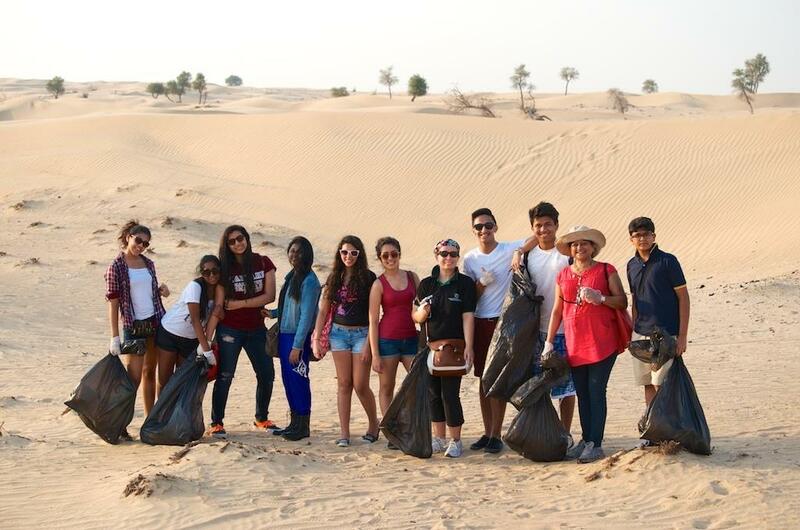 The 1st Clean-up was a huge success involving almost 100 volunteers who collected nearly 250 kilos of rubbish!! 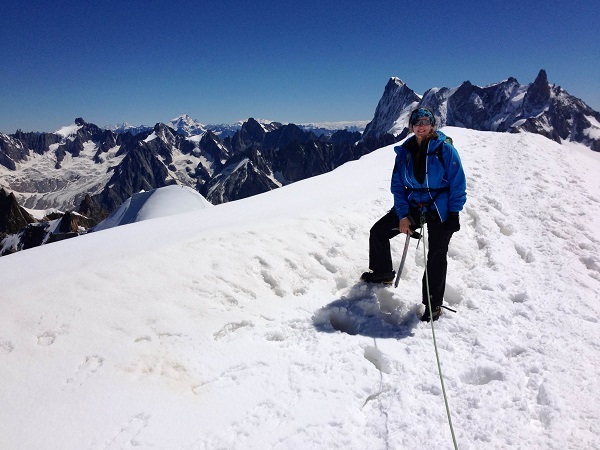 Rotarian Amelie Campsey scaled Mont Blanc! 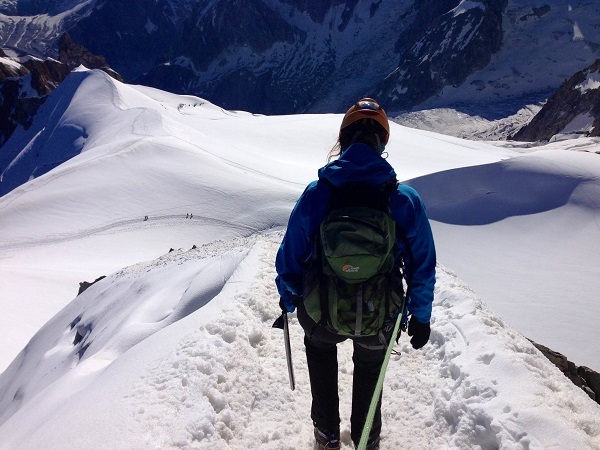 Sadly, on the second day, due to heavy rock falls at the deadliest part of the climb 'the couloir de Gouter', Amelie was forced to turn back, but we think that she did an awesome job and thank her for her immense efforts for the cause. And we thank her for giving us these fabulous pictures of such stunning scenery........!!! on Friday 21st and Saturday 22nd June at the Kinokuniya Book Store, Dubai Mall. 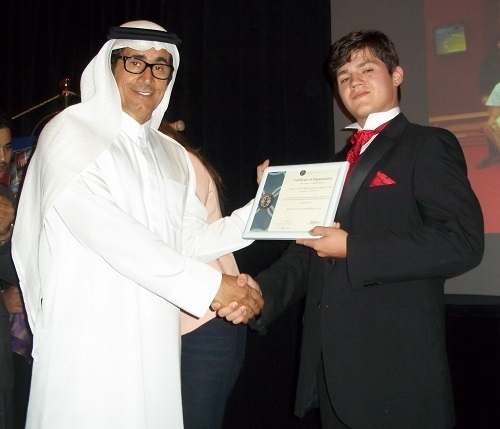 welcomed Dubai International School's Principal, Interact Advisor's, Teachers and Families to the Interact Club's Official Inauguration which saw 28 extremely motivated and dedicated Students receive their Charter Certificate and Rotary Pins. 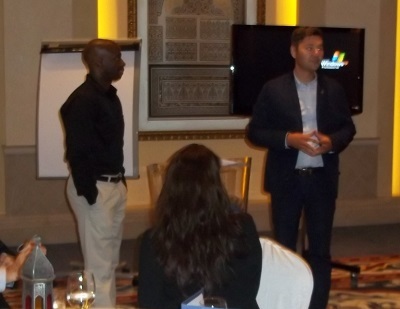 It was a delight to welcome John Gray to Dubai. 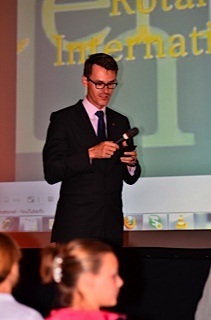 His Presentation was amusing and fascinating and his audience very much enjoyed it. 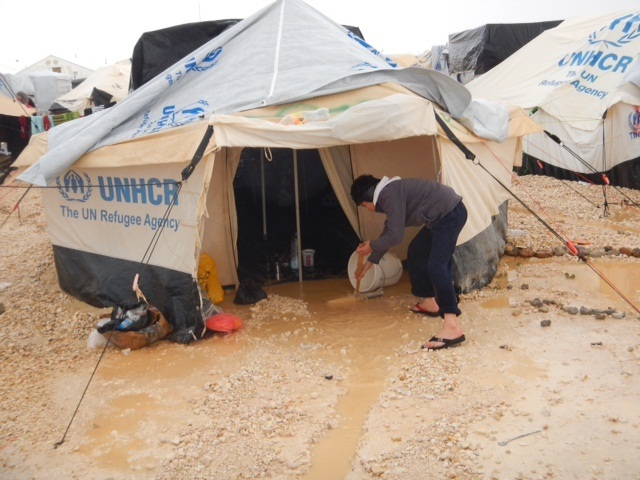 ‘Just Add Hope’ came into being in November 2012 when our team of Rotarians witnessed the shocking state of the refugee camps, where children became the innocent victims of the crisis. 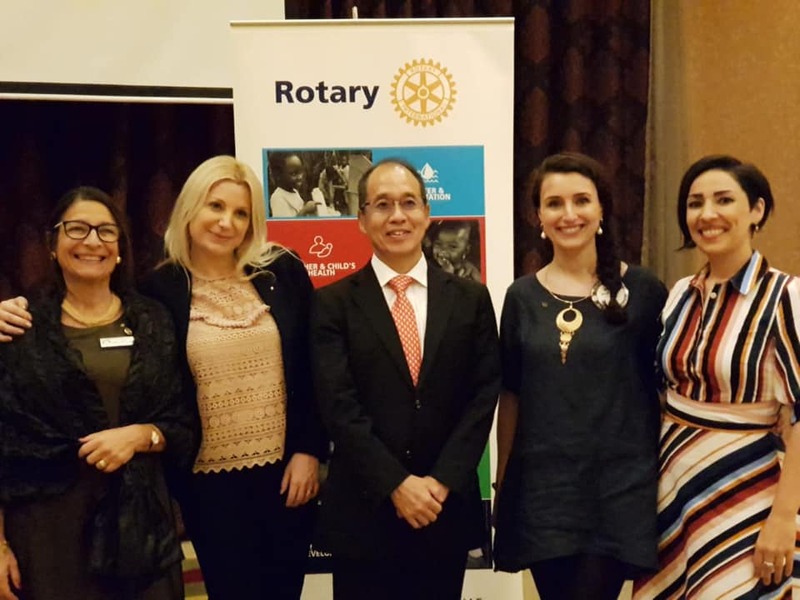 Inspired by the Rotary motto ‘Service Above Self’, Rotary Jumeirah Community Service Committee embarked on an incredible awareness and fundraising campaign. In their path, Rotarians crossed hurdles, but encountered amazing people who wanted to ‘Just Add Hope’. In addition to giving, Just Add Hope is synonymous of ‘gratefulness’. 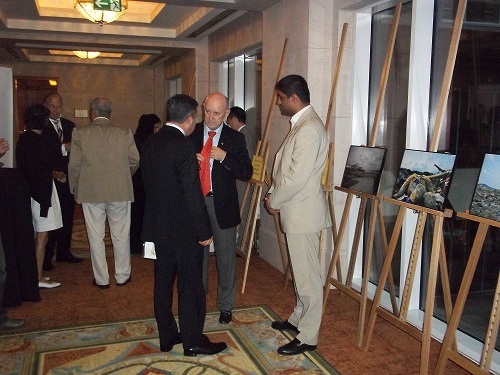 Rotary Jumeirah would like to warmly thank all the generous donors and helpers that we met in our path. We want to extend more than gratitude but show our esteem to all of them. Words can’t express the beauty of what has been achieved together. Thank you! 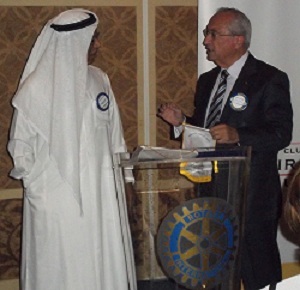 RC Jumeirah was very pleased to welcome District Governor Kevork Mahdessian to the Club on Wednesday 12th December 2012. 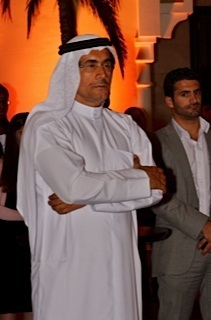 The Club Meeting on Wednesday 23rd May 2012 welcomed some very special guests. Rotary Foundation Trustee for 2010 -12 and incoming Rotary Foundation Director 2012 - 14, Dr Anne Matthews of District 7770 Columbia East, joined us on her way home from the Rotary International Convention in Bangkok. 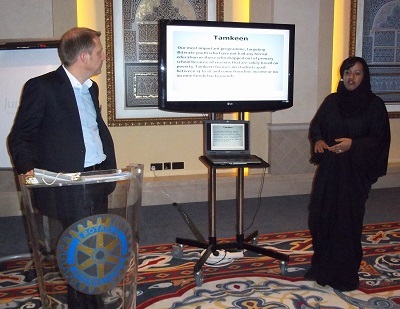 The Club was honoured to have her speak briefly about the coming Rotary Foundation Projects, with the aim of total eradication of Polio in the coming years, she discussed the possibility of a focus on giving the world Clean Water. 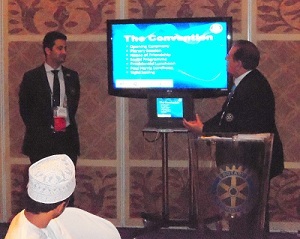 The Club also welcomed District Governor Representative Dr Nabil Mitry and Rotaract President Mehdi Trimech, who were fellow participants at the Convention. 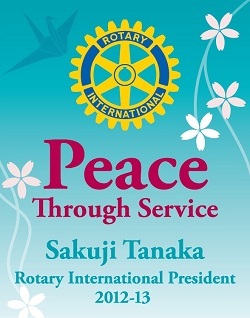 As well as our special guests, it was a pleasure for our members to have the RI Logo and Motto for 2012 - 13 unveiled - 'Peace Through Service'. 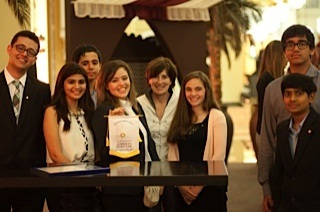 A fabulous fundraising event was held by Rotary Club Jumeirah with the help of Rotaract Jumeirah in April 9th 2012. 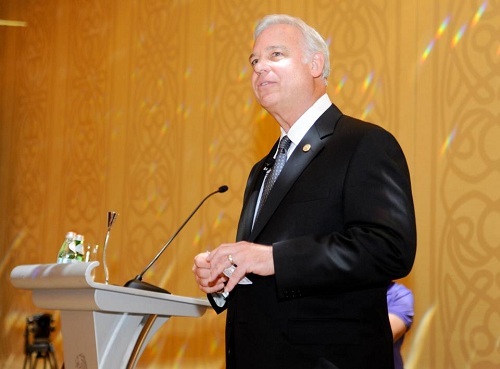 Jack Canfield, inspirational Author and Motivational Speaker generously gave his time to present his Seminar at the Ritz Carlton Hotel. 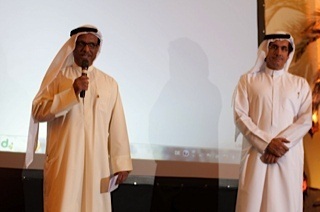 Over 230 people attended the Lecture and enjoyed a gourmet Dinner. All proceeds raised will go to Senses Residential Care Home for Children with Special Needs. Many thanks to Jack, Rotarians Amelie, Dillep and Liesa, and all the Rotaractors and helpers for making this a great evening for all. 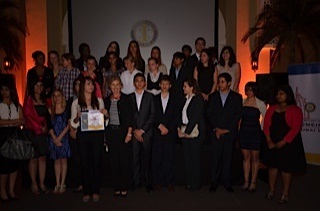 A fantastic evening was had by all those participating at the Interact Club of Jumeirah's Inauguration Ceremony which was held on Thursday 1st March 2012 at the Ibn Battuta Gate Hotel. 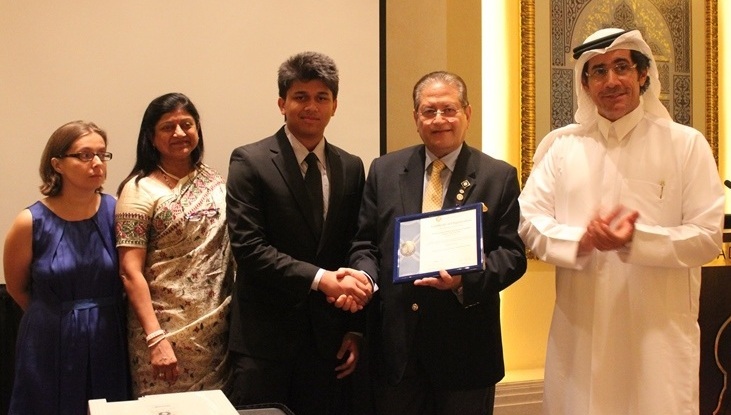 Our committed new Interactors were given their 'Certificate of Organization', signed and presented by RC Jumeirah's President Hussain Al Jaziri, and all the members were pinned by different members of the Rotary and Rotaract Clubs. 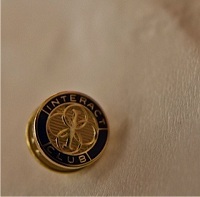 Special thanks go to Catherine Lockhart, the Interact Advisor, and all the Interact Members from Greenfield Community School in the Green Community for their overwhelming enthusiasm for what is bound to be a very successful and respected Club. 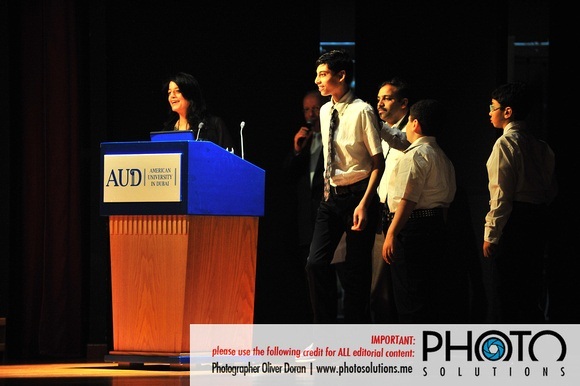 A fabulous event was held on Monday 13th February 2012 at the American University in Dubai in aid of Senses School. 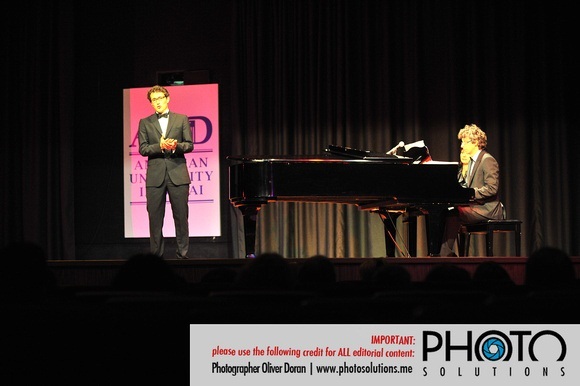 Concert for a Cause, In the Name of Love was a fantastic Classical Concert performed by Massimo Fiocchi Malaspina (Piano) and Niccolo Scaccabarozzi (Baritone Vocal). 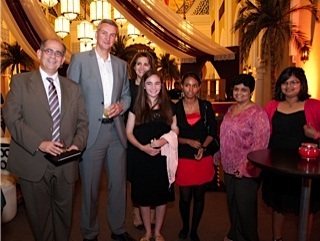 Organised by Rotary Club Jumeirah and Rotary Club Milano San Siro in collaboration with the Milano Conservatory and the American University in Dubai, a great evening was enjoyed with over 450 tickets sold in aid of Senses School. 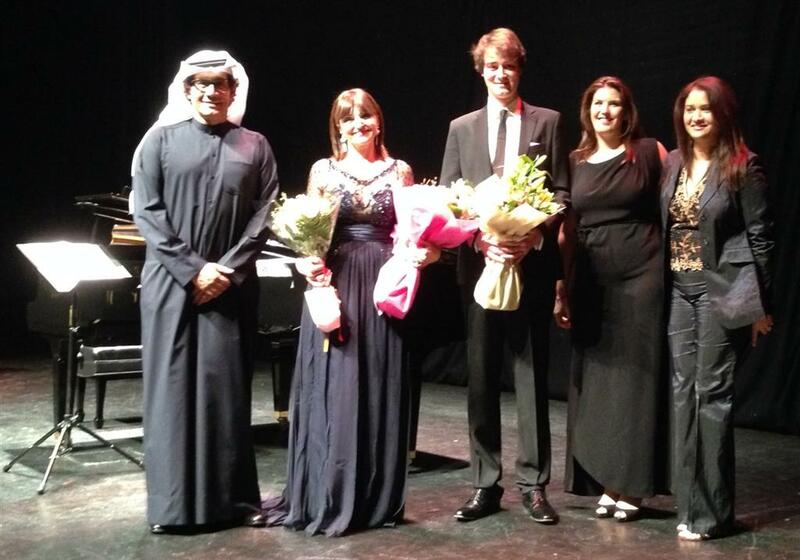 Over 64,000 AED was raised in ticket sales and donations and special thanks go to Rotarians Amelie Campsey, Paolo Ogno and Donal Kilalea for their dedication in organising the event. 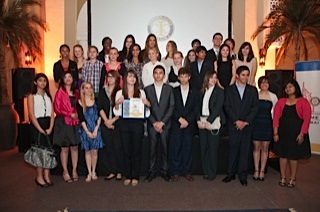 Also thanks to the Senses Committee Members, the Rotaractors and all the volunteers who helped on the night. 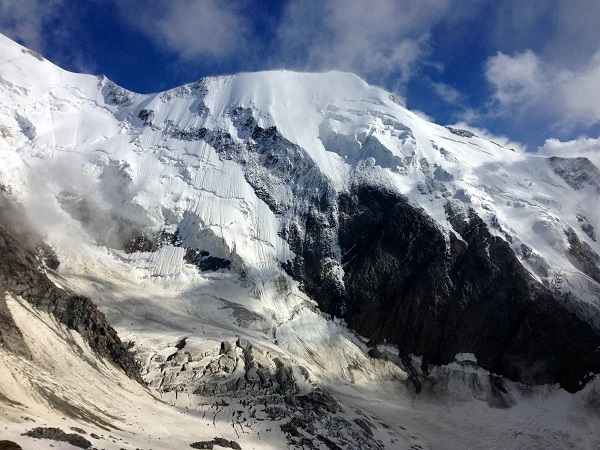 The event has helped to highlight the plight of Senses as well as raise funds for the school, and further events are planned in the Spring to raise more awareness and much needed money. The Senses Committee have successfully formed a Board at the School and the official License is anticipated in the coming weeks which will help Senses raise it's own funds. Congratulations to all those involved on this momentous evening. 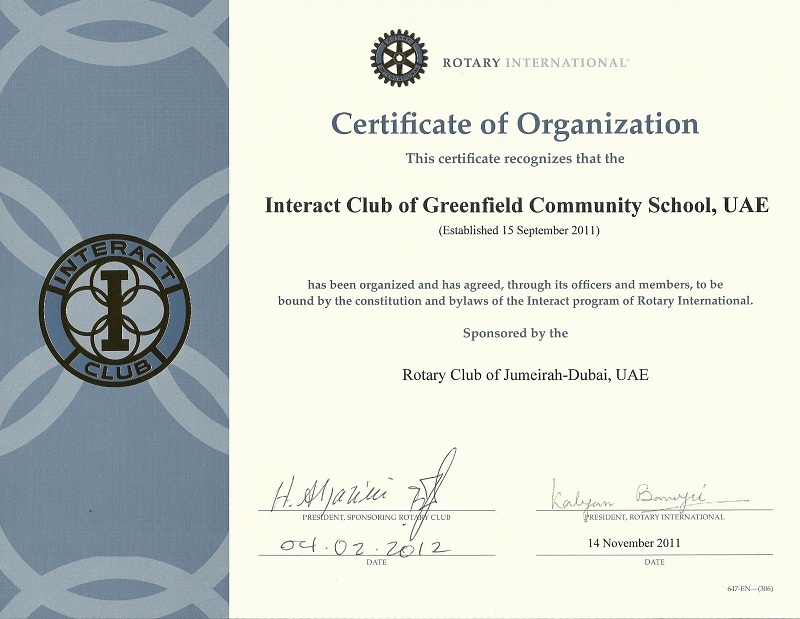 Rotary Club Jumeirah, together with the staff and students of Greenfield Community School, are very pleased and proud to announce the Chartering of the UAE's first Interact Club! 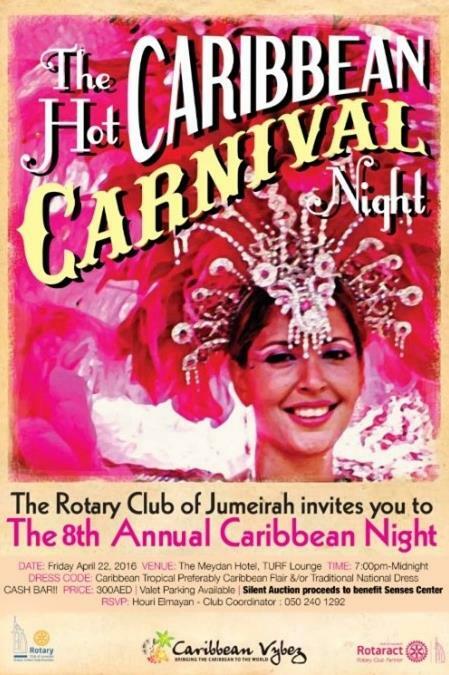 The Interact, Rotaract and Rotary Clubs of Jumeirah will celebrate this momentous achievement at an Inauguration Ceremony on Thursday 1st March 2012 from 6 - 8pm. 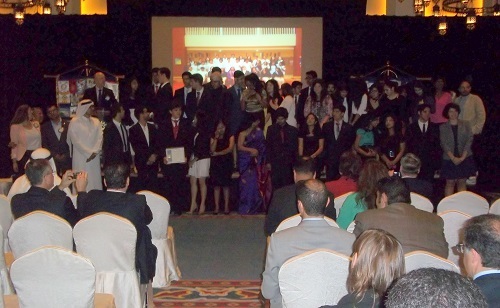 Held at The Ibn Battuta Gate Hotel, the official ceremony will take place with Club Members, Teachers and Parents. 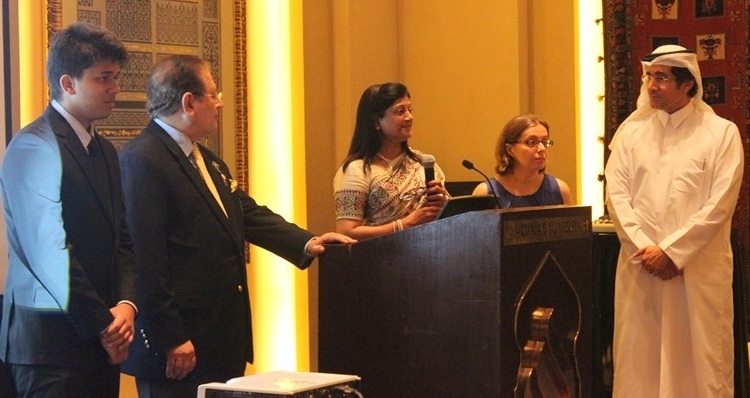 Rotary Club of Jumeirah, Rotaract Club of Jumeirah and Rotaract Club of Dubai joined hands to organise together the 1st Rotaray Young Leadership Summit held on Saturday January 21st. 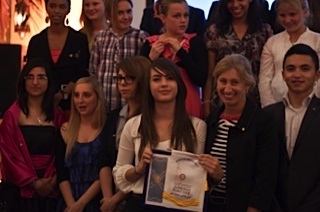 50 people were attending the event, all ages from Intaractors, Rotaractors, Rotarians and guests. The Rotary Young Leadership Summit featured a whole day workshop which was started by Chris Khouri, a wonderful motivational speaker. 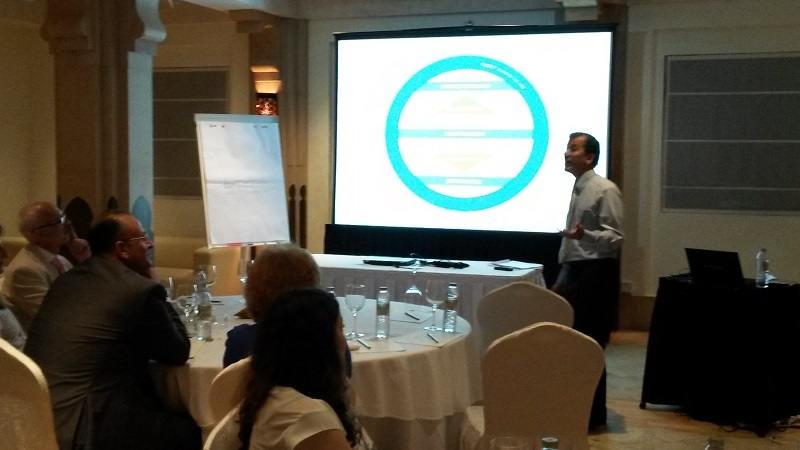 Throughout the day attendees sharpened their knowledge on Social Investment, Energy & Time Management, Manage Change in the Workplace and ended up by talking about how to handle Crisis Situations. 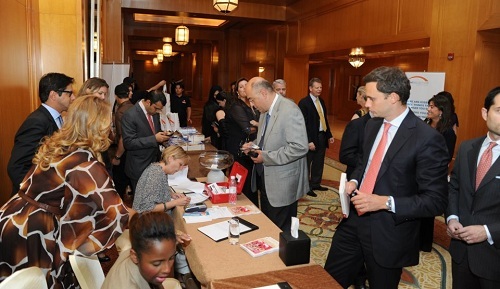 In a friendly and interactive atmosphere everybody exchanged and learned a lot during the day. 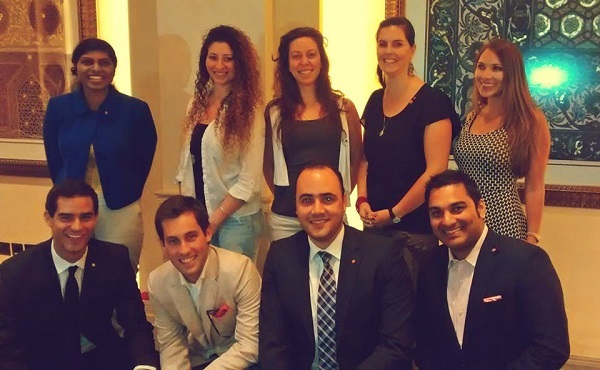 The event was also the occasion to welcome 3 new members in Rotaract Club of Jumeirah: Lina Aghlal, Elias Yasbeck and Julio Corrador. All the proceeds gathered during the day have been donated to sponsor a child with the Palestinian Children Fund Relief. ''Service'' and ''Fellowship'' are core values for us and we'd like to thank all the parties involved in organising this great event as they participated on a voluntary basis. 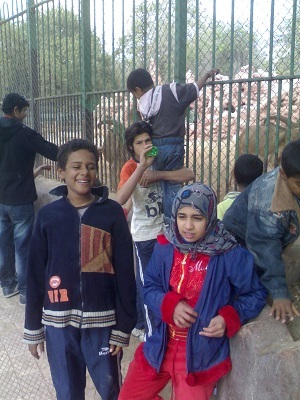 Following the Club's Donation of $10,000 to the El Mawaa Shelter for Children in Cairo, Egypt, we are pleased to have received photographs of their most recent trip to Cairo Zoo!! 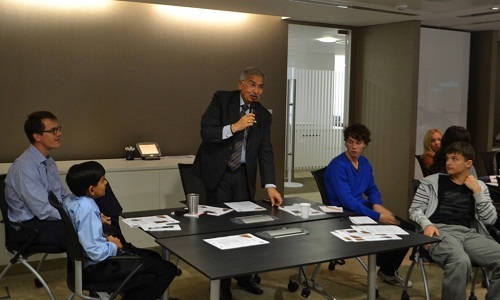 This week's meeting was a very special one for the Club as we welcomed our District 2450 Governor, Mr Usama Barghouthi. Also joining us Dr Nabil Mitry, our District Governor Representative, 9 Members, 6 Visiting Rotarians, 12 Guests and Rotaract President, Mehdi Trimech. 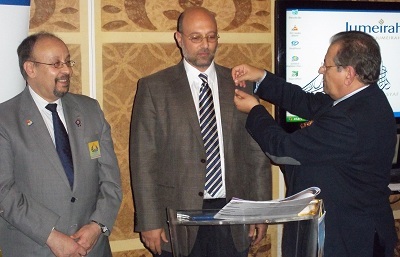 The Visiting Rotarians were Andre Hundt of RC Scherwin, Germany; Rafik Nakhla of RC Heliopolis, Egypt; Soha Glid of RC Toulon, France; Hoda El Alfy of RC Cairo North, Egypt and Rotarians Shahin Nassiri and Jafer Sura of RC Dubai. In addition to our special visitors the Club was very pleased to welcome two new members, Dr Jessica Rand and Ahmed El Damanhoury. 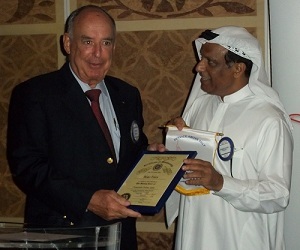 The Club wishes them well as fellow Rotarians and hopes that they enjoy the their roles as Members. 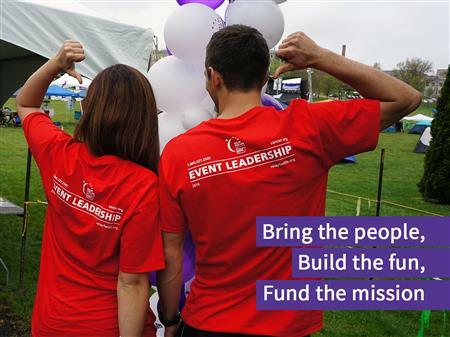 We look forward to working closely with Jessica and Ahmed on future projects and fundraisers. 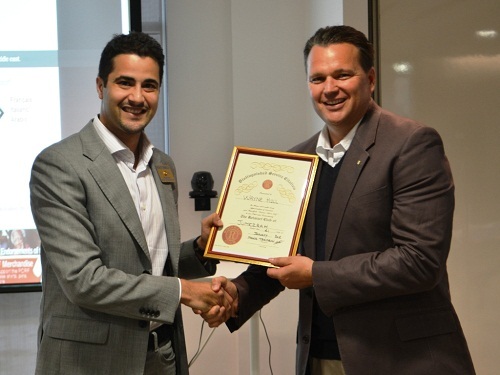 Another special announcement and presentation was given to RC Jumeirah Treasurer Ahmad Belselah, who was awarded the Paul Harris Fellowship by the Club to thank him for his continued hard work, support and attendance. This special honour is given to those members who have truly devoted themselves to Rotary and can be proud that they really have given 'Service Above Self'. Congratulations to Ahmad and thank you. 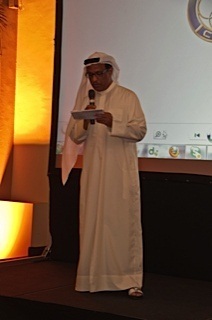 District Governor Usama spoke about the District and it's upcoming changes, projects and goals. 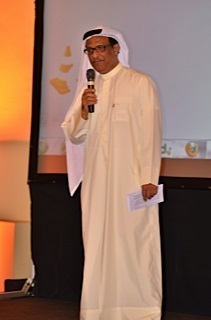 He encouraged all UAE Clubs to attract more members and become even more active with local and international charities. 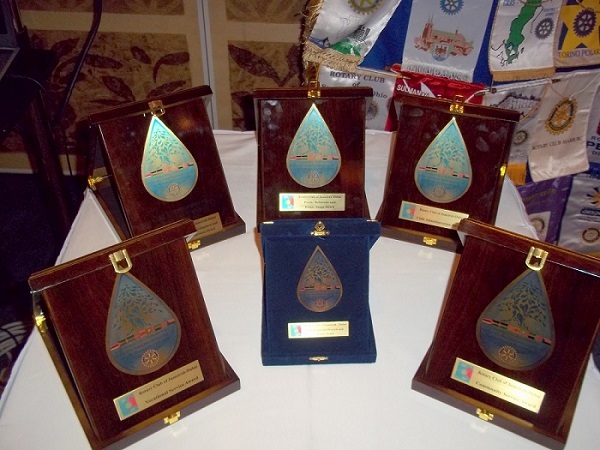 For further details about all the District's plans please visit www.rotary2450.org where you can read further about the re-districting that has been confirmed for 2013 as well as sign up to attend the 76th District Conference in Aqaba between 17th and 20th May 2012. 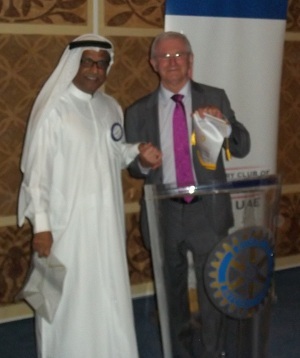 The Club would like to extend it's thanks to the District Governor for his visit and comments and we wish him well with the rest of his stay in the UAE. 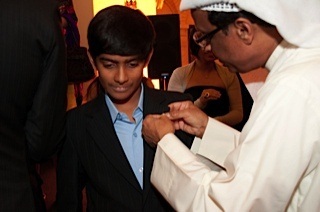 As a gesture of thanks to the District Governor, President Hussain presented Rot. 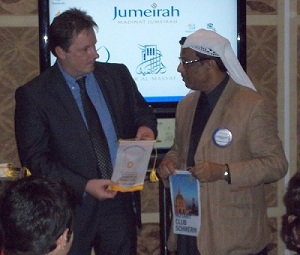 Usama with a Club Banner and a Crystal Figure of RC Jumeirah's logo, the Burj Al Arab. 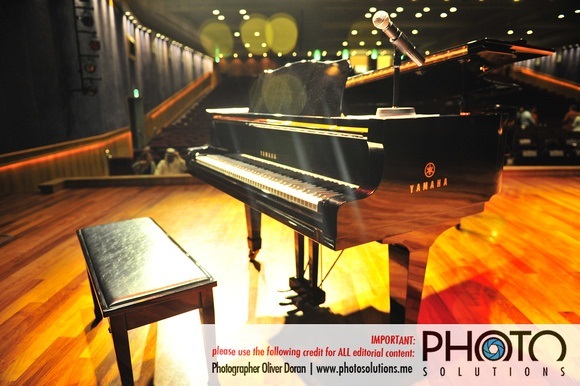 Finally, events for your diaries are 13th February 2012 when a Classical Concert, in collaboration with Rotarian Paolo Ogno's previous Club, Milano San Siro, will be held at the American University. Also, April 9th when a special event hosted by Jack Cranfield (writer of Chicken Soup for the Soul) will be held. Both events are in aid of Senses and further details will be sent to members shortly. 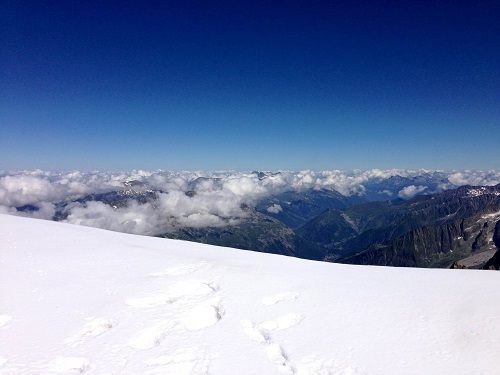 Following the success of Rotarian Amelie Campsey's sponsored Trek up the Damavand Mountain in Iran last summer, when enough funds were raised by fellow Rotarians and friends to plant 700 Ghaf tree seeds, this fellowship event was organised. 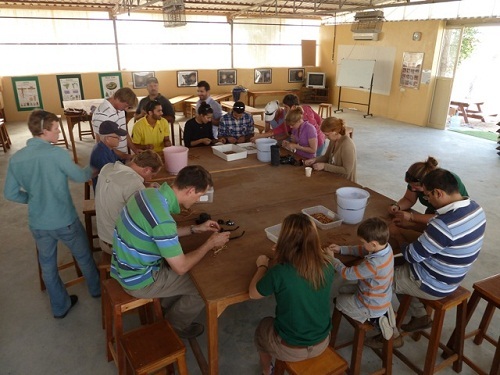 Rotarians, families and friends were invited to the Al Awadi Field Studies Centre in Al Dhaid where a presentation about the Ghaf tree and its qualities was given before the participants sourced and sorted their seeds, planted them and then enjoyed a relaxing BBQ lunch in the pleasant January sunshine. 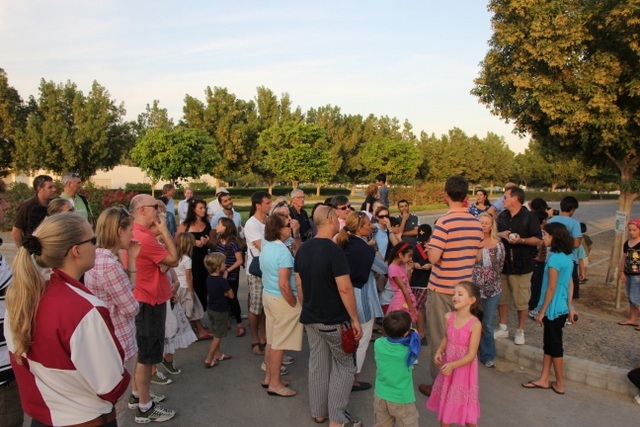 Many thanks to Goumbook, Al Awadi and Amelie for organising a wonderful morning that was enjoyed by all and it is a privilege to now have a Rotary Club Jumeirah Nursery! 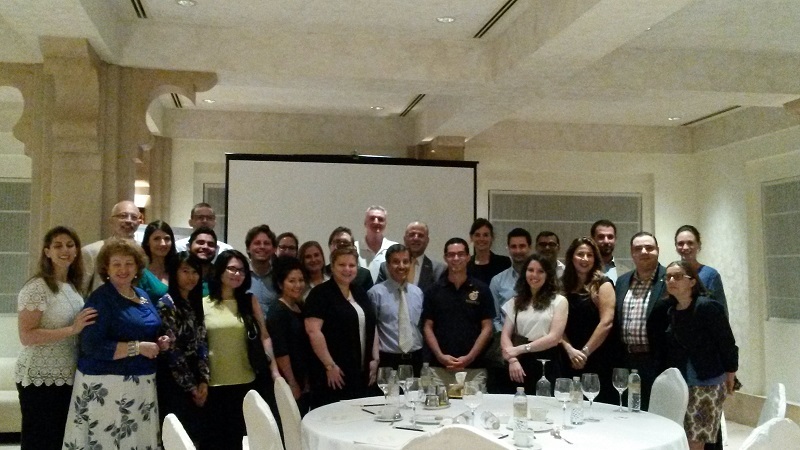 At this week's Club Meeting we welcomed 13 Members, 11 Visiting Rotarians, 6 Guests and 1 Rotaract Member. 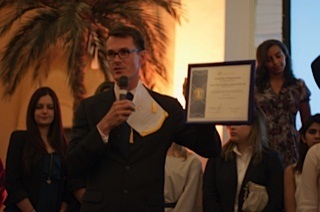 As our scheduled Speaker was not able to attend, the Members and guests enjoyed an evening of fellowship, and because there were so many visiting Rotarians from all over the world enjoying the evening with us, many banners were exchanged! 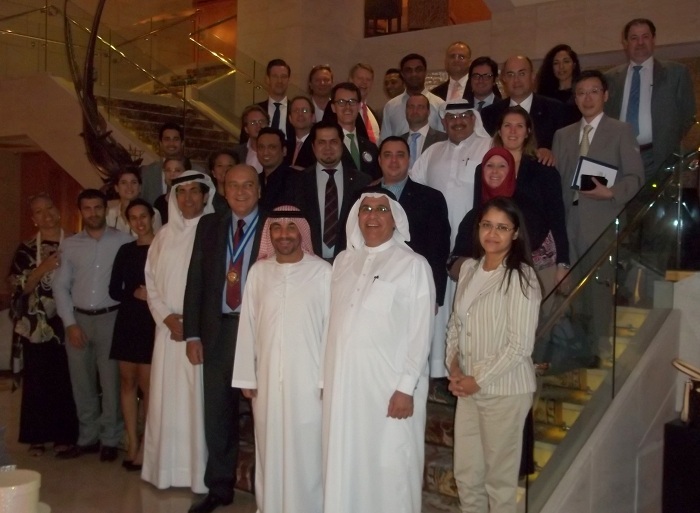 It was a pleasure to have so many Rotarians from many countries at the meeting and we hope they all have a fabulous stay in Dubai, at this special time as the UAE celebrates being 40!! 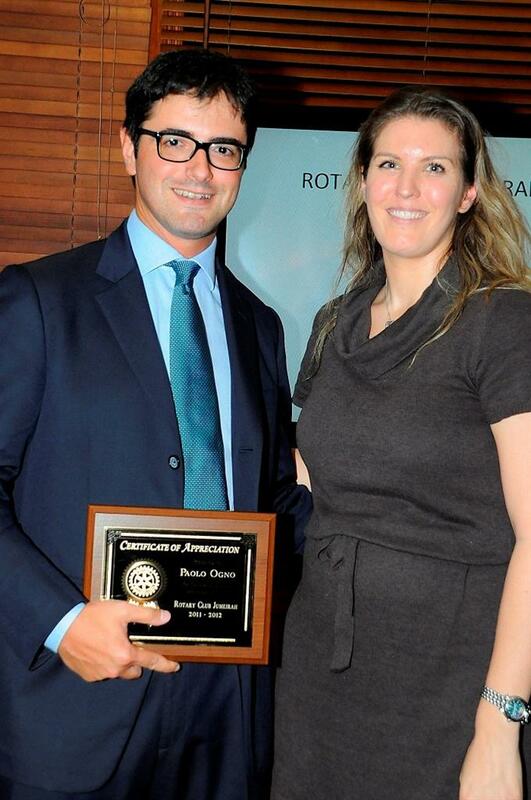 The Club also welcomed 2 new members into the fold, Paolo Ogno, a regular visiting Rotarian has transferred officially from his Italian club, RC Milano, and Bodo Fries, recommended by Rot. Tomasz Golebiewski, joined as a brand new member. The Club hopes Paolo and Bodo enjoy many wonderful years of fellowship and service. Rot. 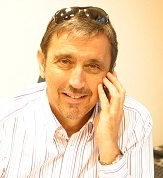 David Wernery has bravely undertaken a MOvember this month!! 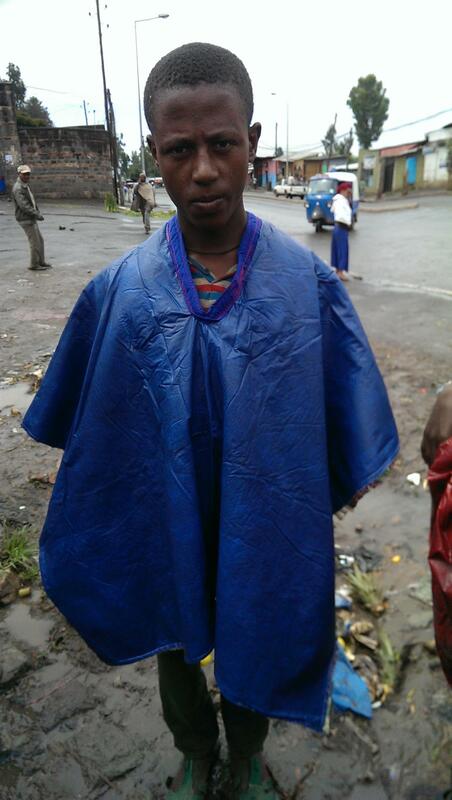 David has gone without shaving since the beginning of November and is hoping to attract Sponsors for his feat. ALL DONATIONS GO TO SENSES SCHOOL. To contribute to David's appeal, please contact our Club Coordinator, Julia. 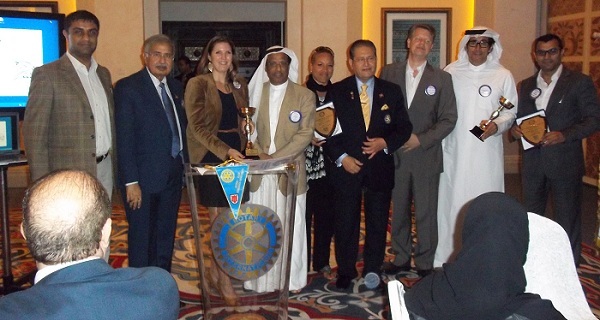 The Club's members have been invited to a Visiting Rotarian Club Dinner on Tuesday 29th November at 9pm. 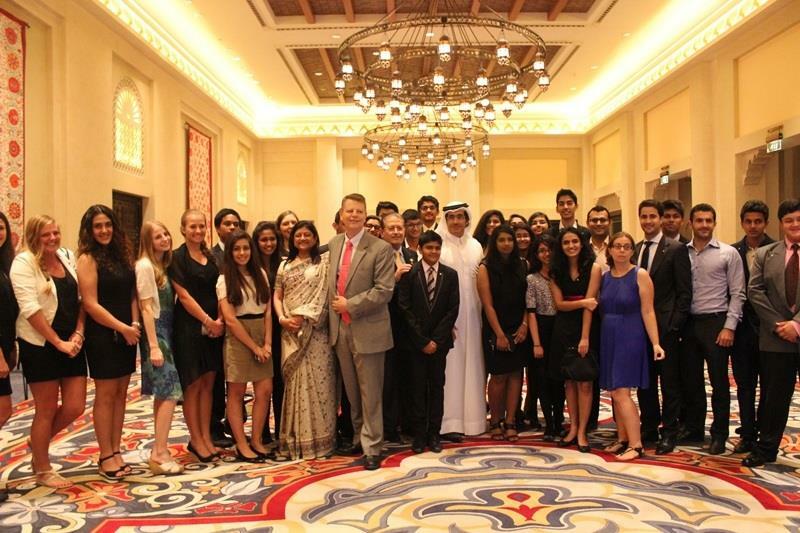 35 members of the RC of Sonipat, India are staying in Dubai next week and they would be delighted if members of RC Jumeirah would join them for a complimentary dinner and evening of fellowship. 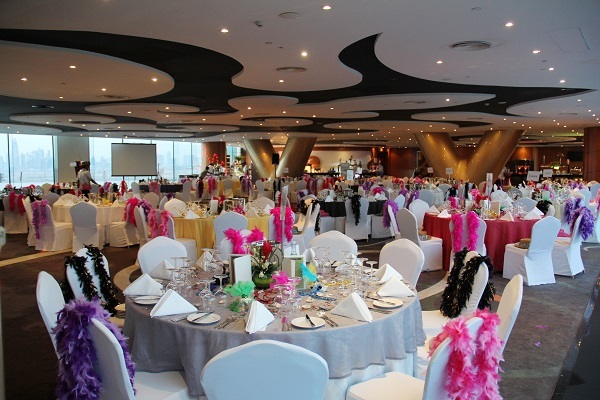 The event is being held at the Salam Namaste Restaurant, Seven Sands Hotel Apartments, Al Barsha (behind Mall of the Emirates). If you would like to join them, please let Julia know. Our next Fellowship Event is planned for December 8th at 8pm. 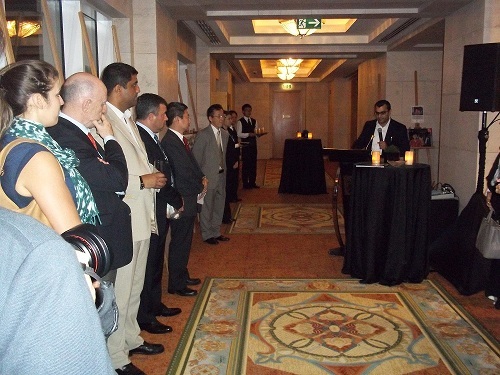 Join together for a Wine Tasting Evening at the Agency Bar, Emirates Towers. This evening promises good quality wine and great conversation at 150 aed per person for drinks and nibbles. 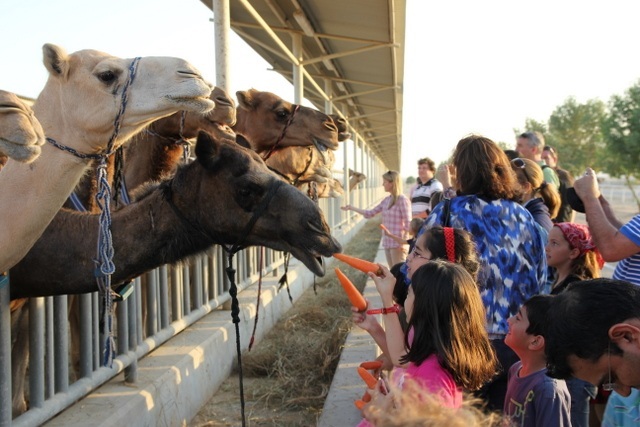 In line with the Rotary Club's continued efforts to provide monthly fellowship events for its members, Rotarian David Wernery invited the Club to a visit of the Camelicious camel dairy farm in Umm Nahad. More than 50 Rotarians, Rotaractors, families and friends met at 4pm on a wonderfully clear and sunny Saturday afternoon. Rot. David greeted all present and did a great job of giving the visitors a tour of the farm. 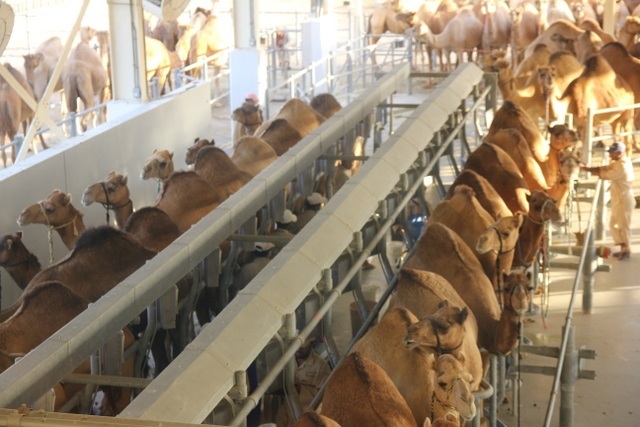 The guests were briefly informed about the history of the world's first and, to date, only fully automated camel dairy farm, and then led to possibly the most interesting part of the establishment: the milking parlour. 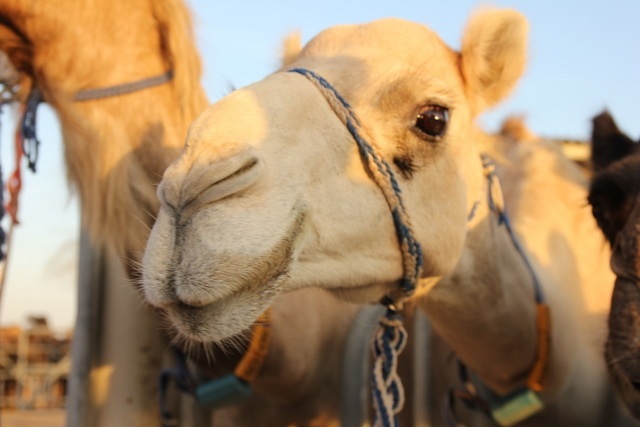 David explained that milking camels is not that different to milking cows, although naturally, adaptations due to differences in anatomy and milk yield need to be accounted for. 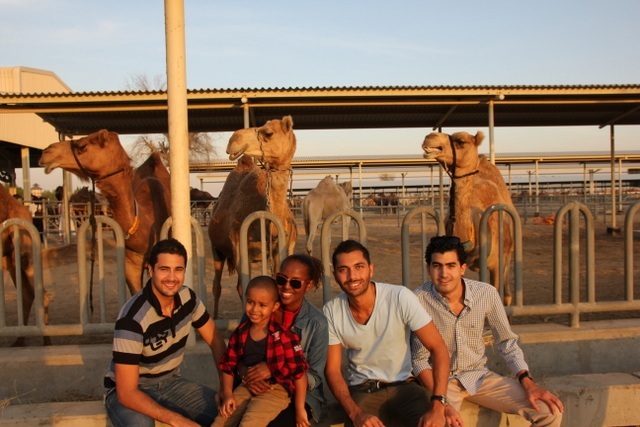 Following the parlour, the group was treated to feeding some of the camels with carrots, much to the pleasure of the numerous children present (although at times it seemed that the adults had just as much fun!!). 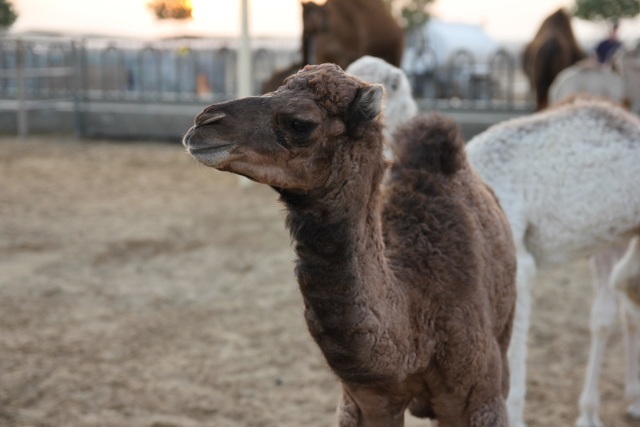 Following the maternity station, and viewing the processing plant where the milk is pasteurized and packaged, the tour concluded with all being treated to camel milk and given some home supplies of the 'White Gold of the Desert'. 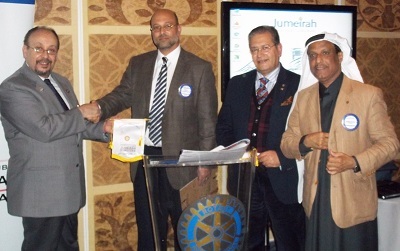 It is Rotary Club Jumeirah's pleasure to announce that, as part of our International Service, we are donating $10,000 (US) to the El Mawaa Shelter for Children in Egypt. 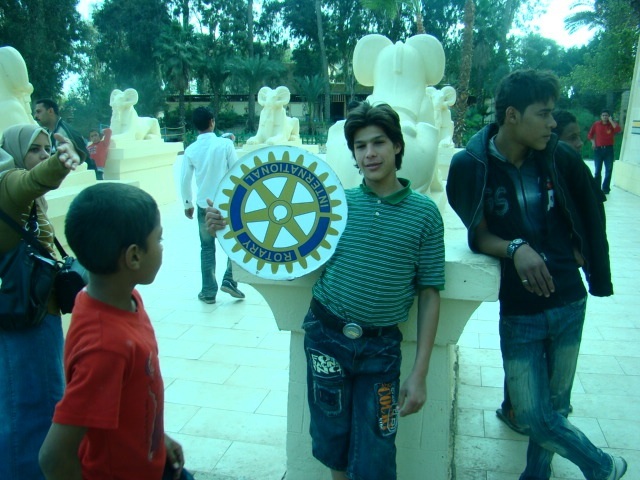 Horus Rotary Club Heliopolis regularly helps the Children, who have for varying reasons been forced to live on the streets. The Club donates food, clothes and educational materials to the Shelter in order to give the children the best possible start in life. As well as the donation of goods, the children receive medical care and are taken on fun and interesting trips as often as possible. 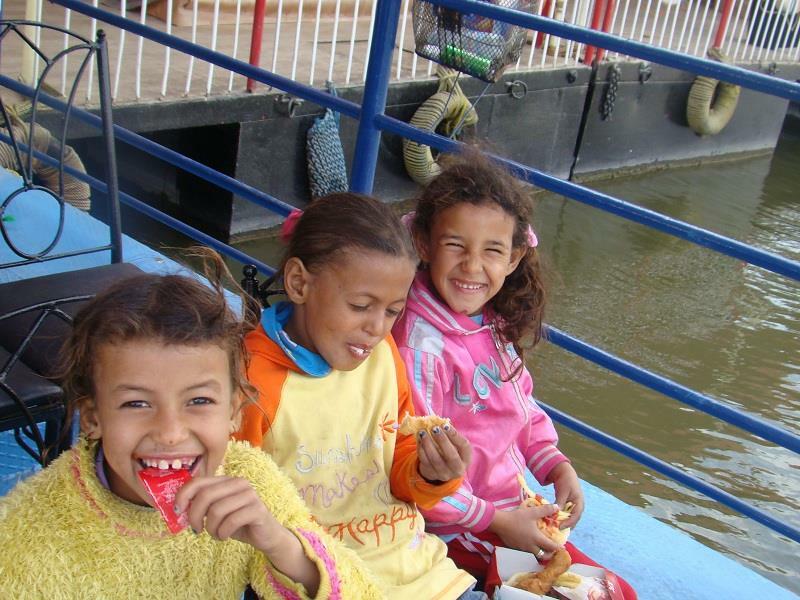 The photos below see the children enjoying a trip to a Pharonic Village on Sunday 20th November where they enjoyed a boat trip and tour, as well as a tasty lunch!! 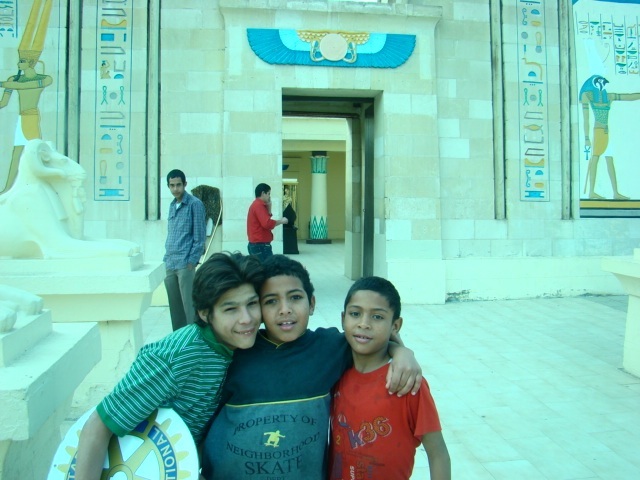 You can learn more about Eqypt's Street Children at the following link http://www.unicef.org/sowc/egypt_30616.html. 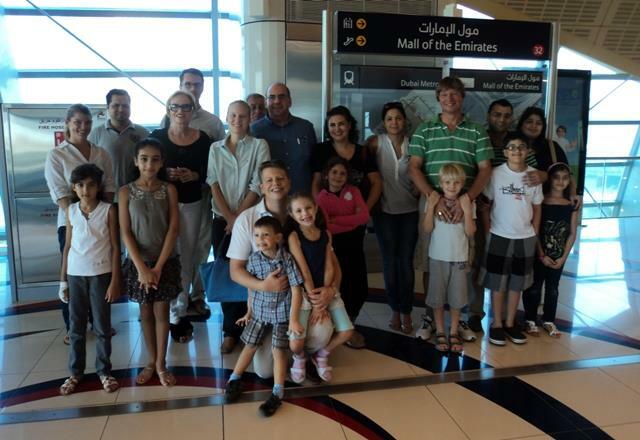 The Rotary Club of Jumeirah organised its "Explore Dubai by Metro" fellowship event on Saturday the 29th October 2011. 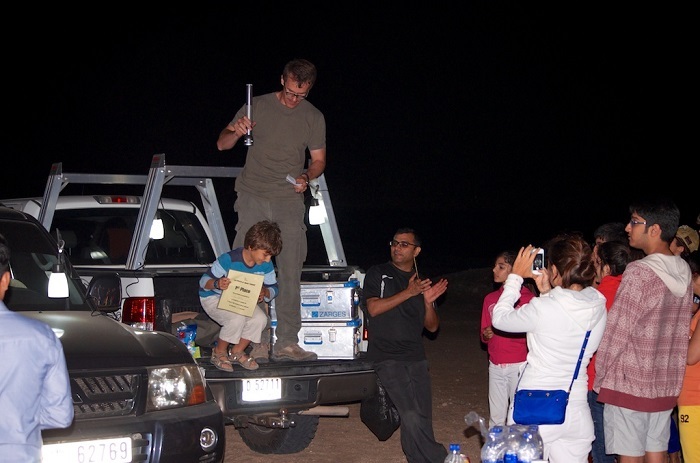 A total of 35 people participated in the event including 11 club members, one visiting Rotarian from Ras Al Khaimah, nine adult family members, eight children and six guests. Starting at 3 pm, the group started gathering in front of the ticket office at the "Mall of the Emirates" Metro station where tickets were purchased. Regular Metro users topped up their NOL cards while new users purchased a one-day travel card for 16 Dhs each. Around 3:30, the group proceeded to the platform and boarded the Rashidya-bound red-line train. 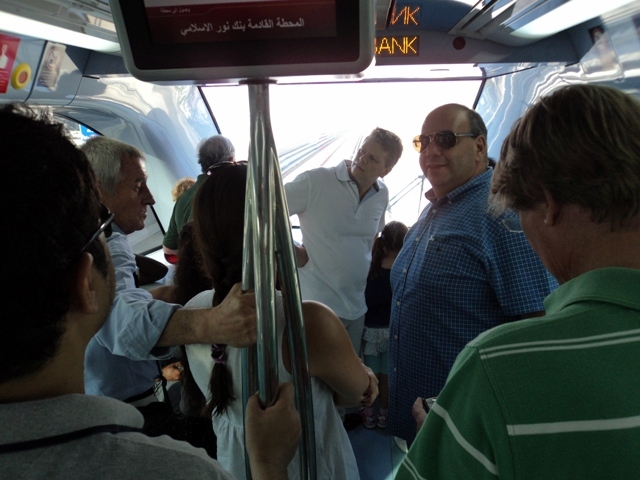 Members, guests and especially children congregated in the front of the driverless train. 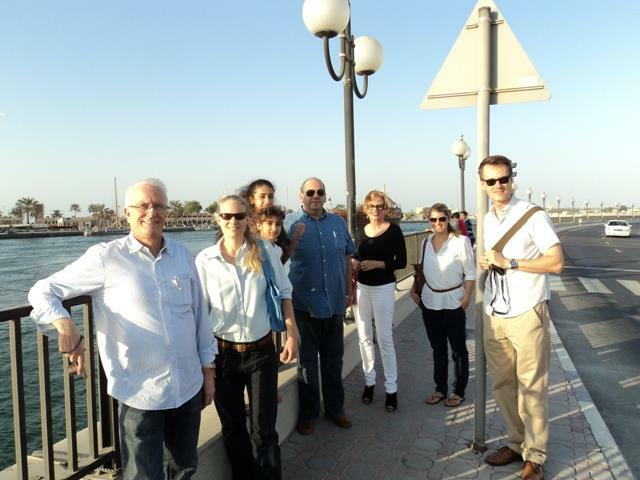 Everyone enjoyed the scenery and the experience of moving around Dubai without the hassle of driving. The group's first stop was Union Station which is one of the two stations where the red and green lines meet. The group explored the large station and took a group picture in front of the time capsule sealed on 9/9/9 with a message from H.H. 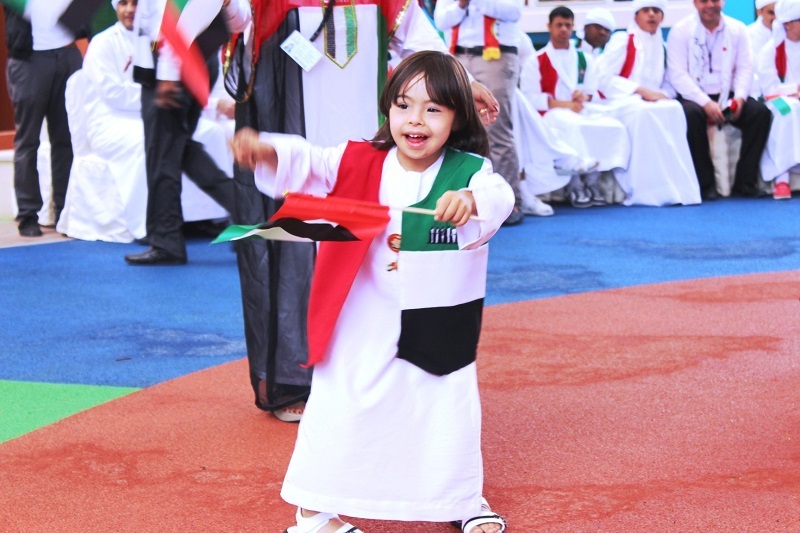 Sheikh Mohammed Bin Rashid Al Maktoum for future generations. Then the group proceeded to the green line platform where they boarded the Creek-bound train. 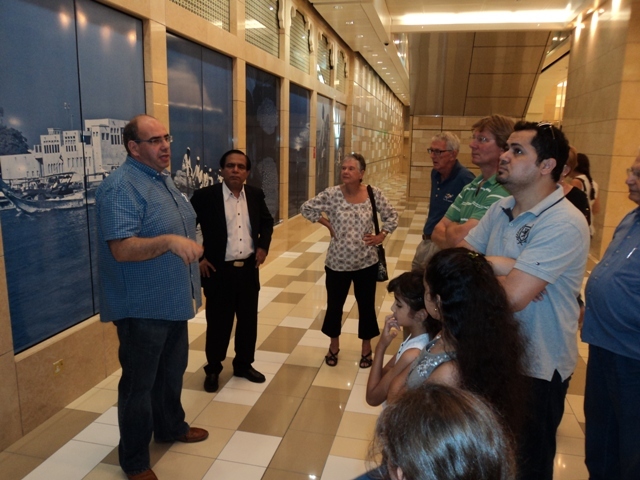 They disembarked in Al RAS station which is one of the two Heritage-themed stations on the green line. 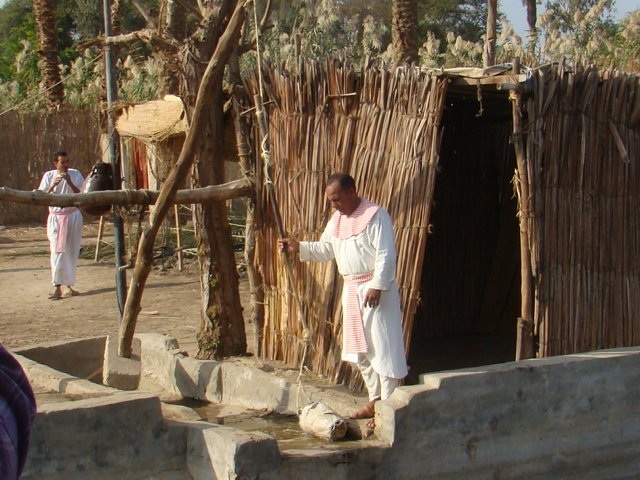 After taking some pictures inside the station, some members explored the area around the station including the Gold Souk and the Creek side. Around 5 pm, everyone returned to the station to take the green-line train towards Khalid-bin-Al Walid Station where they switched to the red-line Jebel Ali bound train for the ride home. A fabulous time was had by all and the Club would like to thank Rot. 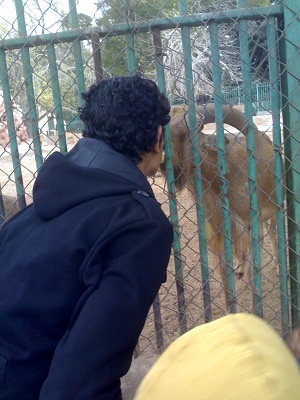 Khaled for organising this interesting and informative trip. 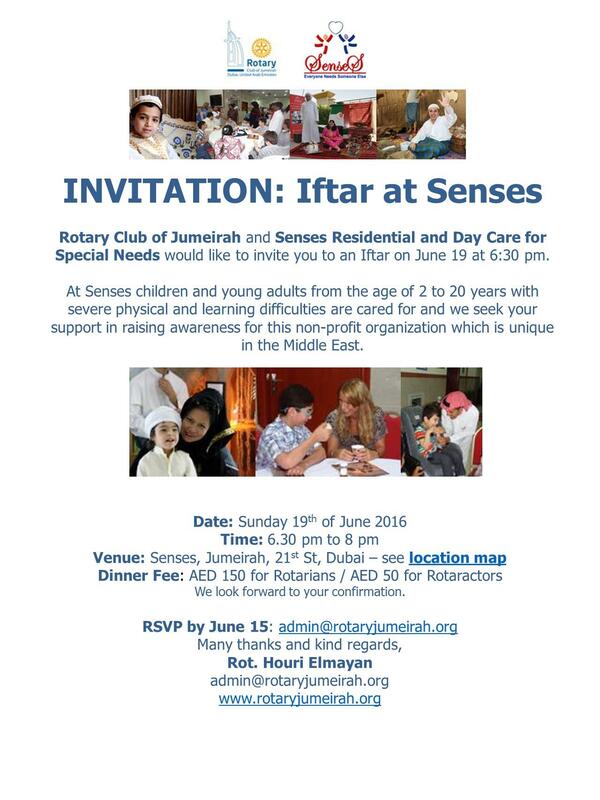 Rotary Club Jumeirah has donated funds to Senses School for some years now. After a visit to the School last weekend (22nd October 2011) a number of our Members were very alarmed to see the dire situation the school is now in. 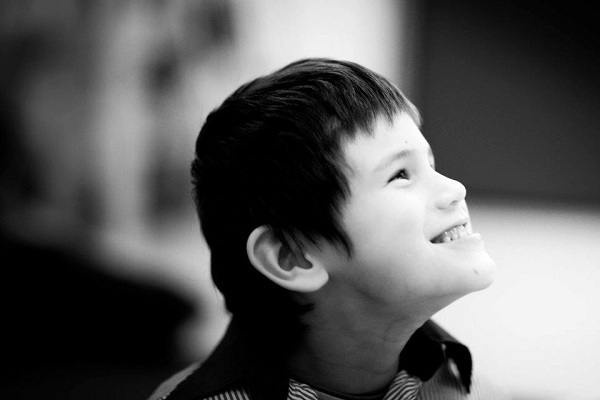 Senses School cares for over 80 children with mental and physical disabilities, 43 of the children are permanent residents. There are many teachers at the School doing their best to help and support the children. THERE IS NOT ENOUGH MONEY TO PAY SALARIES FOR NOVEMBER! 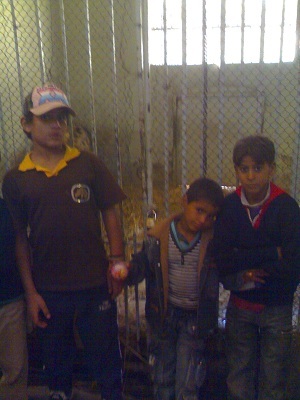 THERE IS NOT ENOUGH MONEY TO BUY THE CHILDREN'S FOOD AND BASIC NECESSITIES! 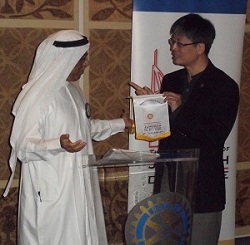 Rotary Club Jumeirah is beginning a campaign to SPONSOR A CHILD. 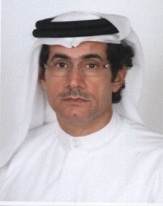 This campaign will be aimed at the many large corporations operating within Dubai. 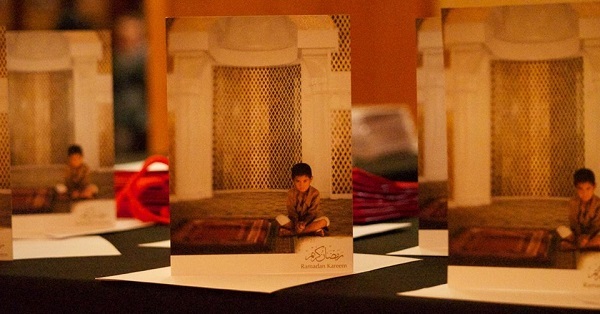 One child can be Sponsored for 50,000 AED, or a resident child for 80,000 AED per year. 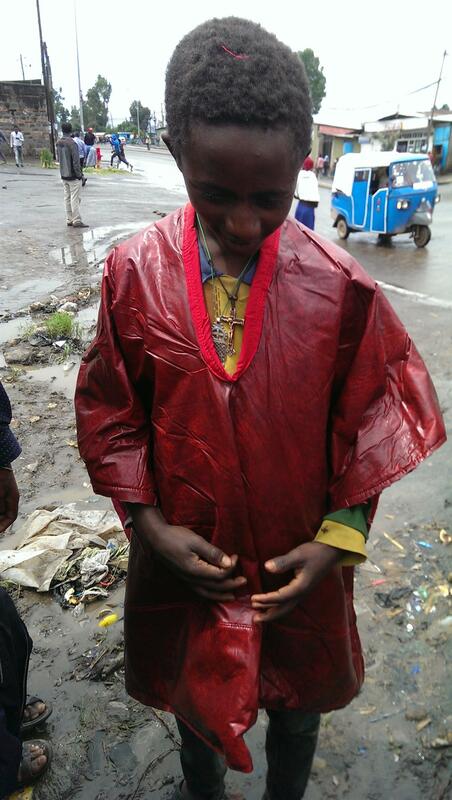 In addition, we intend to target the media, getting more awareness for the plight of Senses and it's children. Our Club’s PNSF Rotary Community Corps in action. 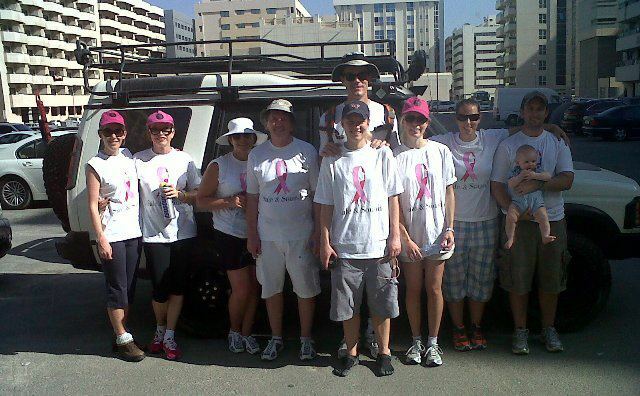 Members of the RCC taking part in the 2011 BurJuman Pink Walkathon – raising awareness about breast cancer. 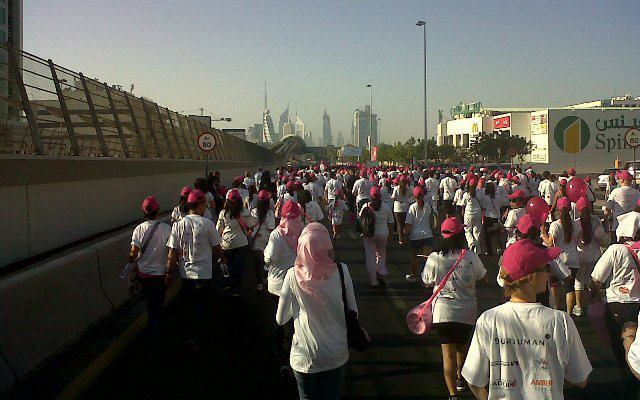 It was a 3.6km walk on Friday 28th October, with thousands attending. 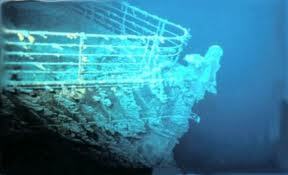 Our guest speaker this week, guest of Rotarian Frank O'Sullivan was Patrick Mylon, who gave the members and visitors a fascinating and informative talk about the 'unsinkable' Titanic Ocean Liner. 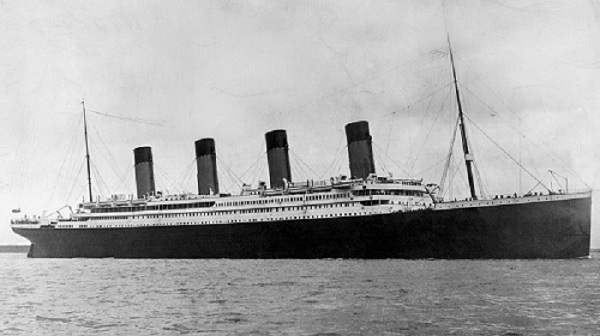 On April 10th 1912 The Titanic set sail on its maiden voyage from Southampton bound for New York. 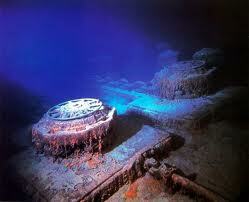 On April 15th 1912 The Titanic struck an iceberg and sank. The ship carried 20 lifeboats - there should have been 32. Of the 2,200 passengers on board, only 700 were able to get into the lifeboats. 1,500 froze to death in the water, they didn't drown. Of the 1,500 who died 50 were children, 100 were women and 1,350 were men. Most 1st Class passengers were American and 2nd Class passengers were British. More 1st Class men survived than 3rd Class children. Coffins were provided for the 1st Class passengers, Canvas Bags for the 2nd Class passengers, but 3rd Class passengers were buried at sea. The Shipping company was not responsible for returning the dead to their loved ones. Relatives had to pay for their bodies to be returned. The iceberg could not be seen because it was black and the lookouts only had two minutes from seeing it to the ship striking it. Patrick will be releasing a book to mark the Centenary of the fateful night next April which we're sure will be a very interesting and insightful read. He also recommended the film 'A Night To Remember' (1958) as the most detailed and accurate account of the event. 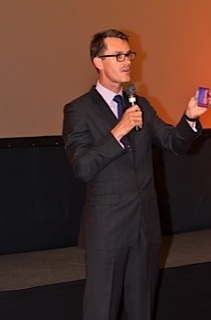 Many thanks Patrick, the Club enjoyed your talk very much! 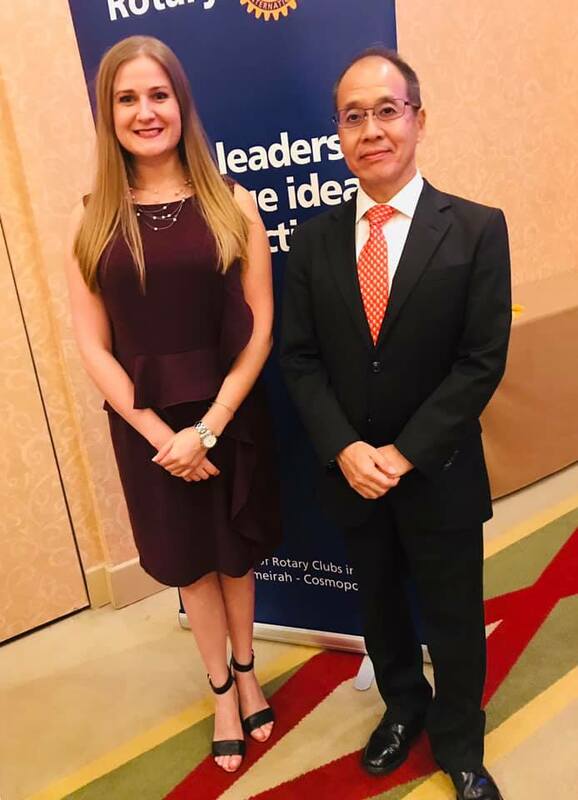 Rotary Club Jumeirah is happy to announce that Paul Harris Fellowships have been awarded to 2 of our members for their work, dedication and fellowship to the Club and it's sponsored organisations. Club Treasurer, Ahmad Belselah, and past Board and Founding Member, Donal Kilalea, were nominated by the current Board on behalf of all of the members of the Club. 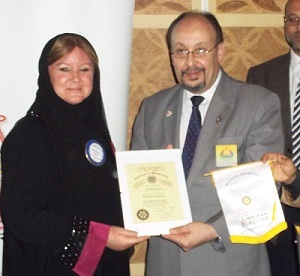 The Award was granted by Rotary International and the District due to the generosity of the Club and its members due to a matching grant being given by the Club to RC Khartoum. The amount of $2,500 was donated in 2009/2010. The Club congratulates Rot. 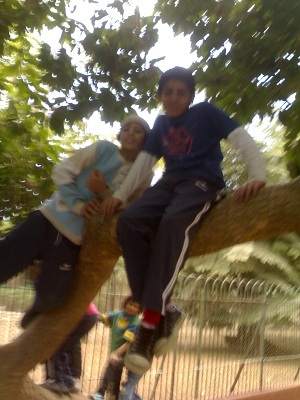 Ahmad and Rot. Donal and is very grateful for their continued hard work and support. Rot. 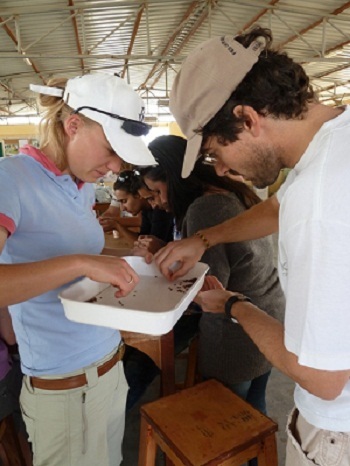 David Wernery, a Board Member of the Club, and his wife Theresa are embarking on the mission 'Plastic Not So Fantastic (PNSF)' which RC Jumeirah recently endorsed. To help support the campaigns awareness drive, a Rotary Community Corps was established, and is now officially certified and endorsed by Rotary International, the Rotary world governing body. A Rotary Community Corps (RCC) is a group of non-Rotarian men and women who share Rotary’s values and commitment to service. With more than 6,700 Rotary Community Corps in over 75 countries, RCCs are considered partners in service. 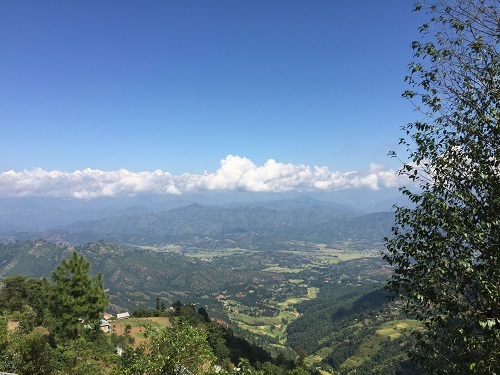 With the guidance and support of their sponsor Rotary clubs, RCCs plan and implement projects that address issues affecting their communities such as health, literacy, safety, employment, and the environment. 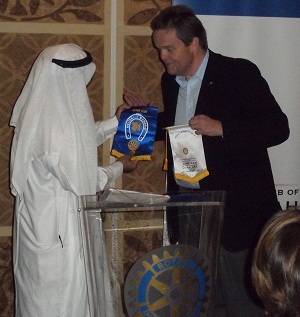 They may also help support Rotary club service efforts. Currently there are more than 7,000 Community Corps in over 80 countries. 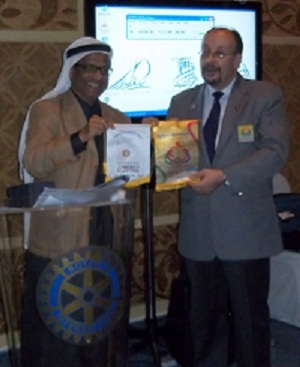 · Develop partnerships between Rotarians and non-Rotarians in a joint effort to enhance their community. · Support community members who proactively address community needs, recognizing their unique ability to identify the most pressing concerns and suitable methods of implementation. · Promote sustainable solutions to community needs by engaging a broader segment of the community in developing and implementing focused service projects. 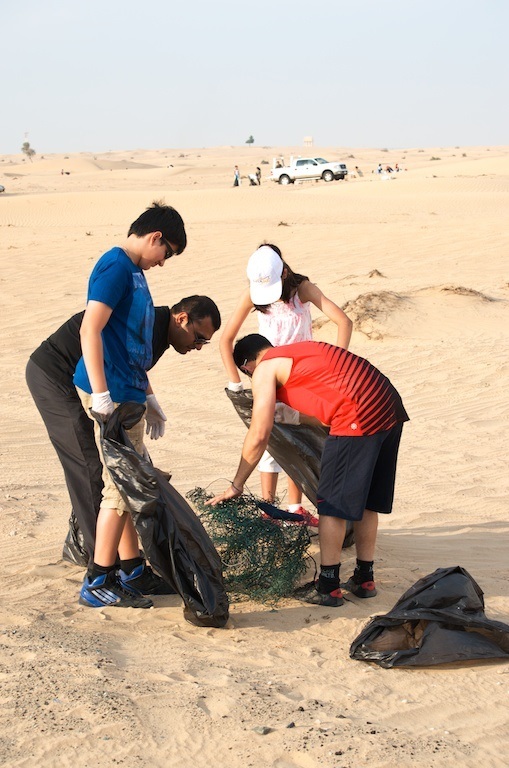 The Plastic Not So Fantastic (PNSF) Rotary Community Corps of the Rotary Club of Jumeirah, Dubai, will campaign and raise awareness about especially plastic pollution here in the UAE, in our community. 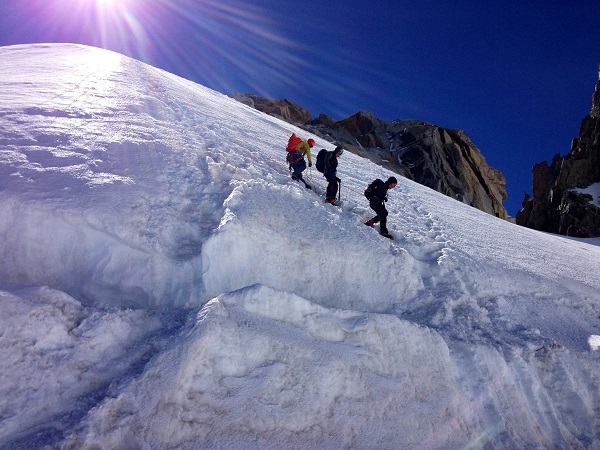 Through our continued work, we will support their expeditions mission, especially once they have headed off on the world trip and are unable to continue with campaign awareness in the UAE.